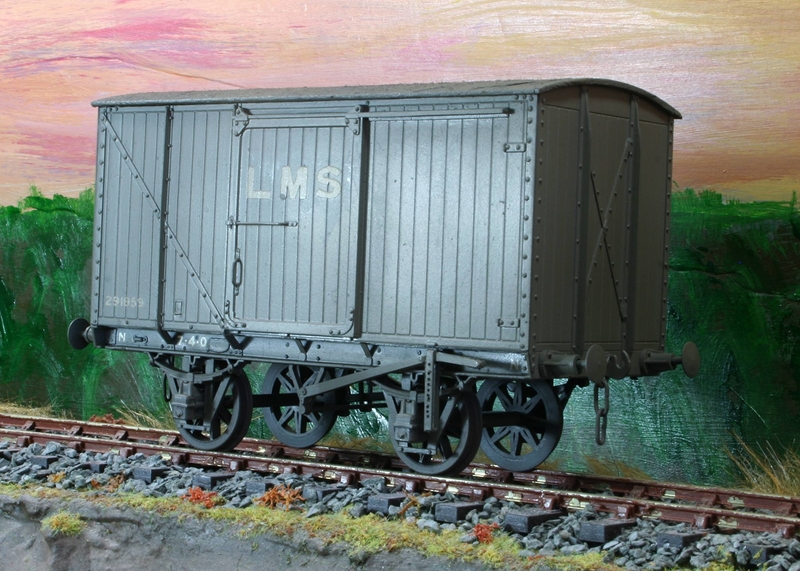 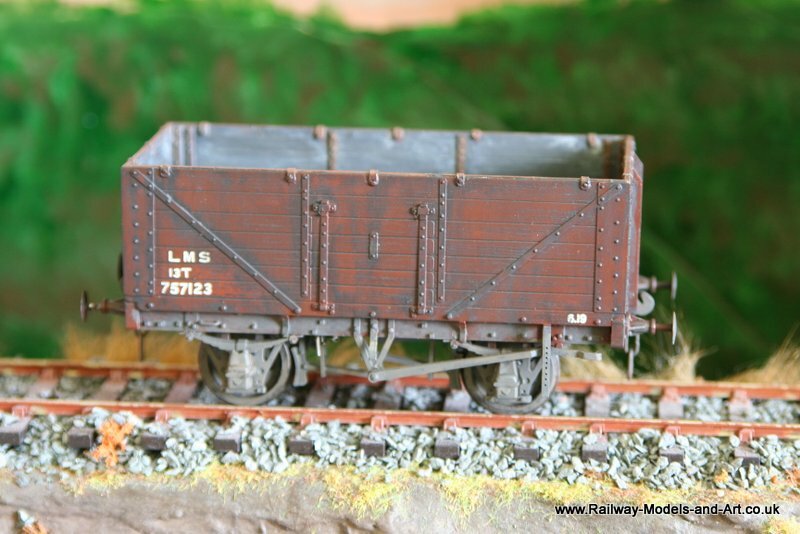 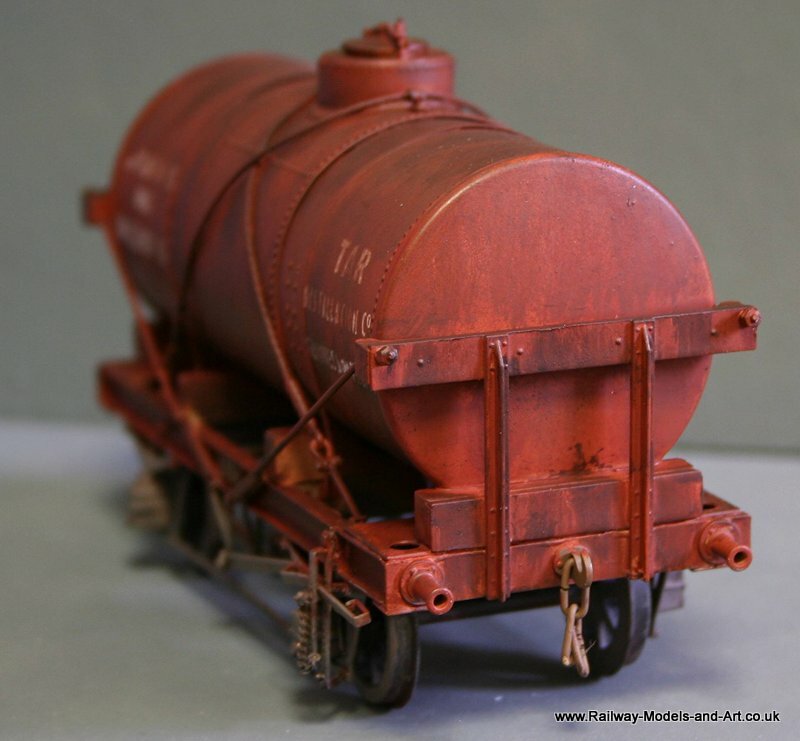 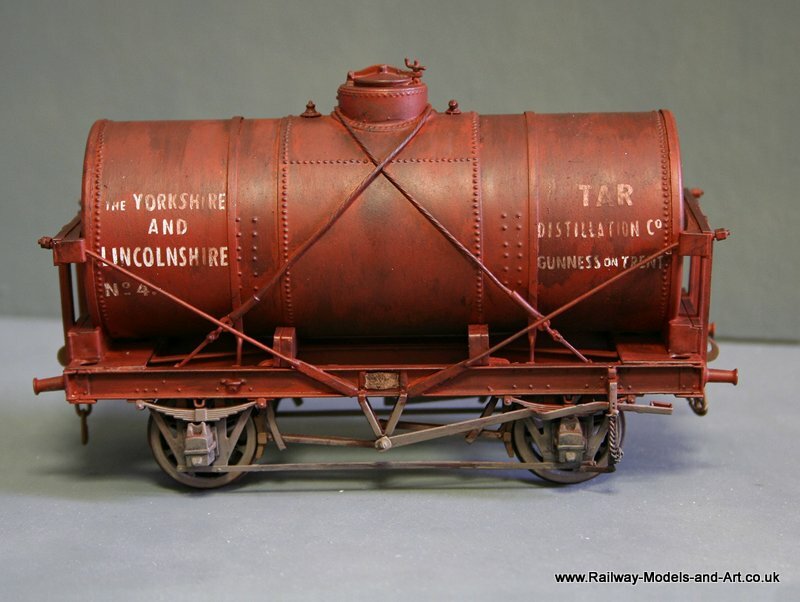 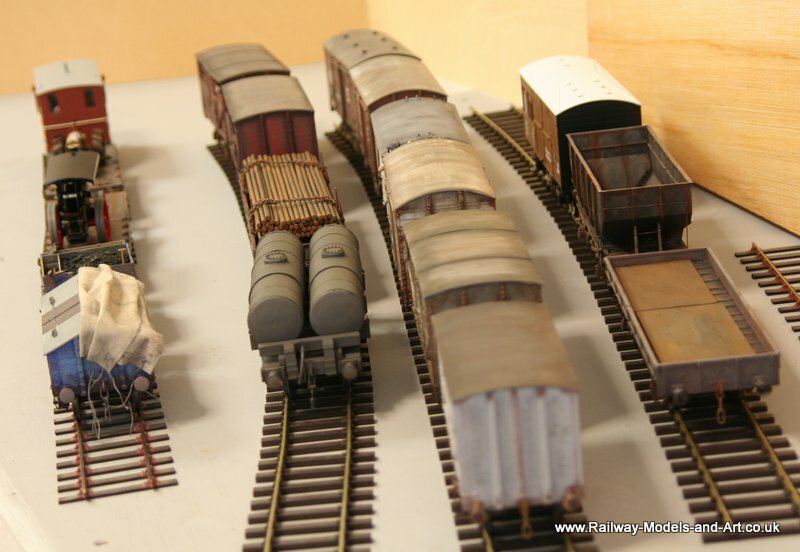 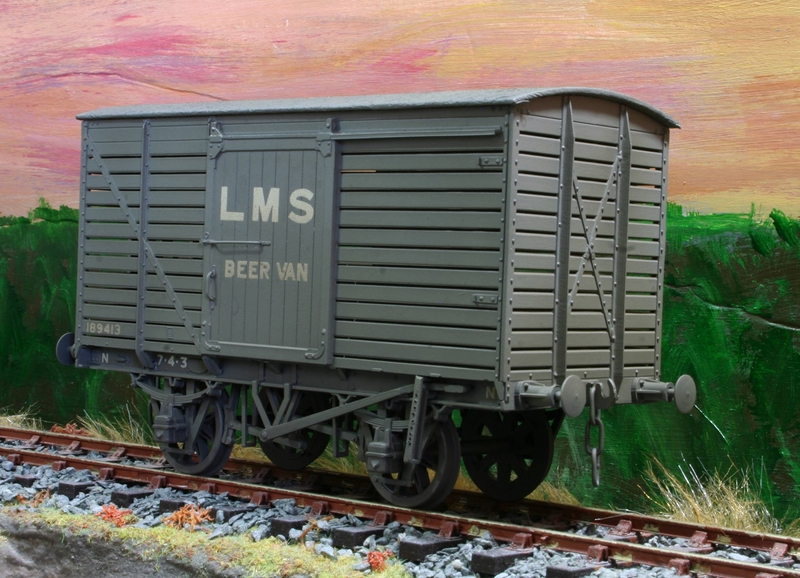 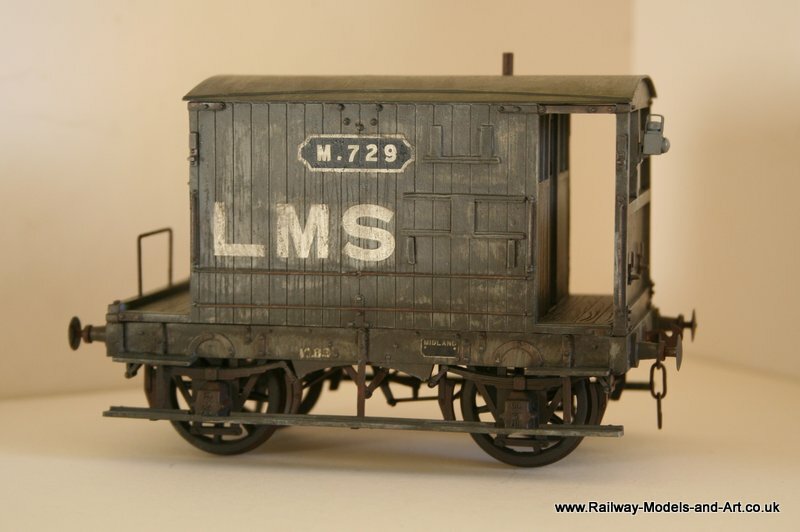 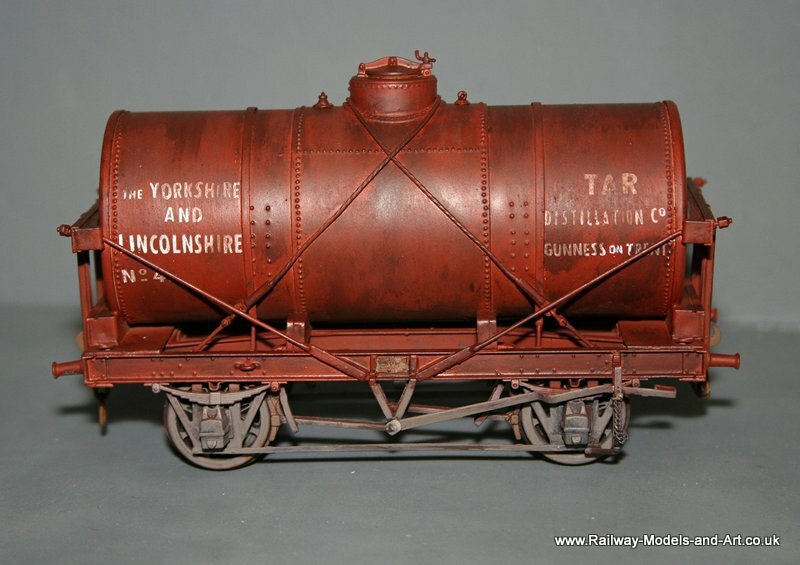 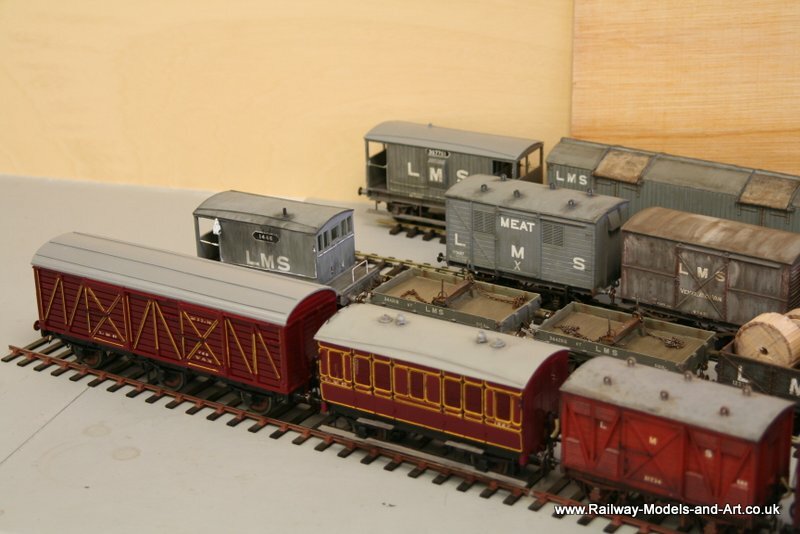 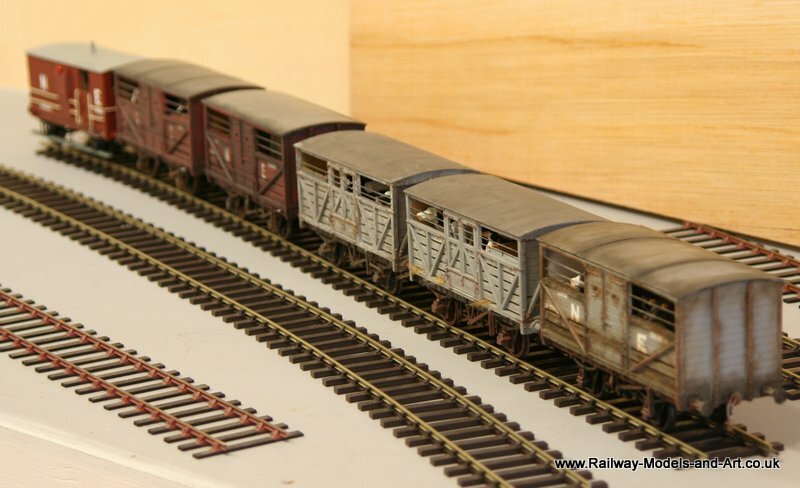 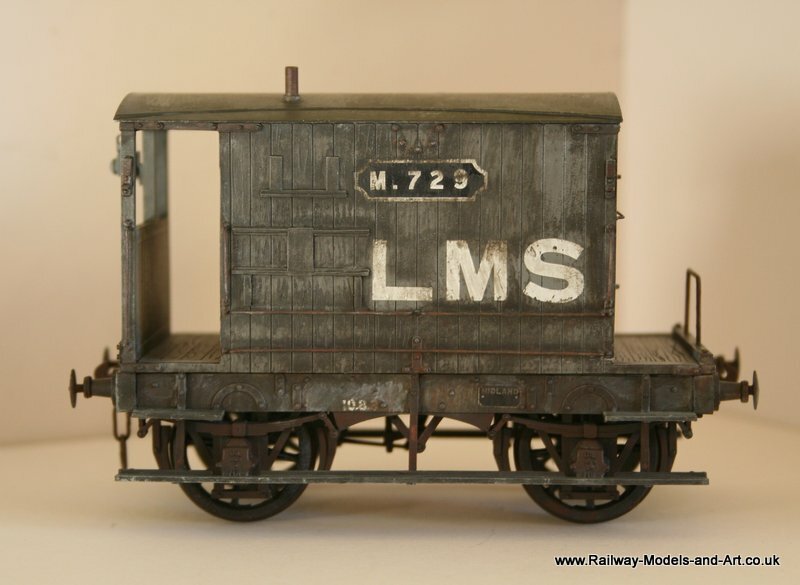 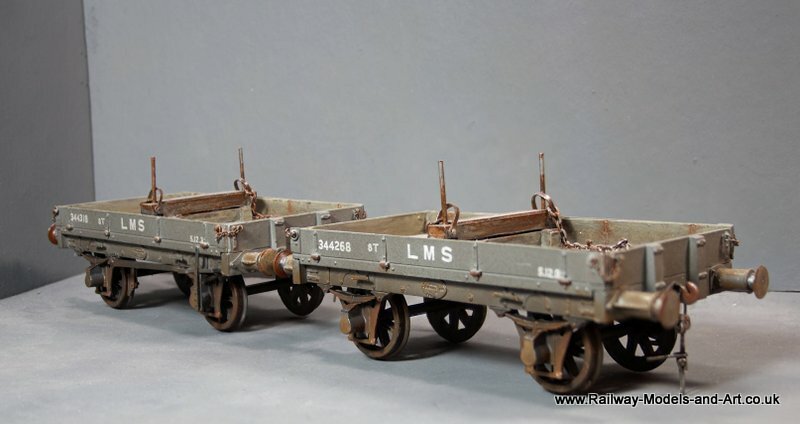 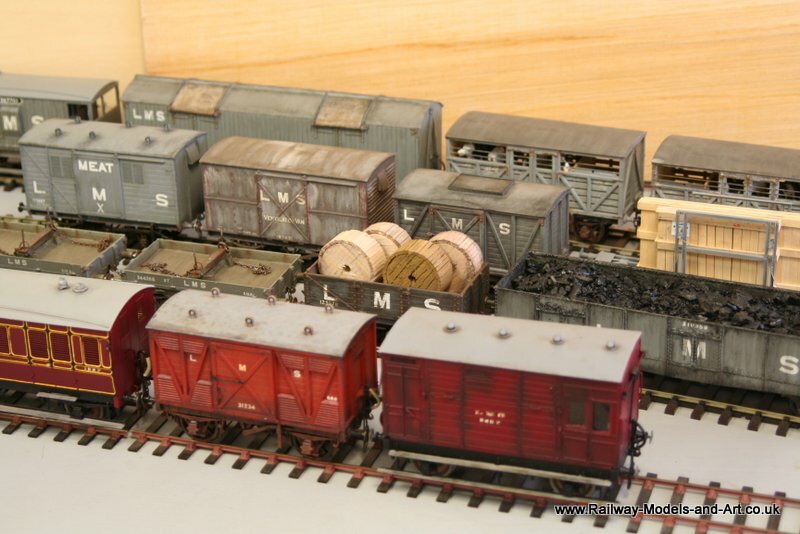 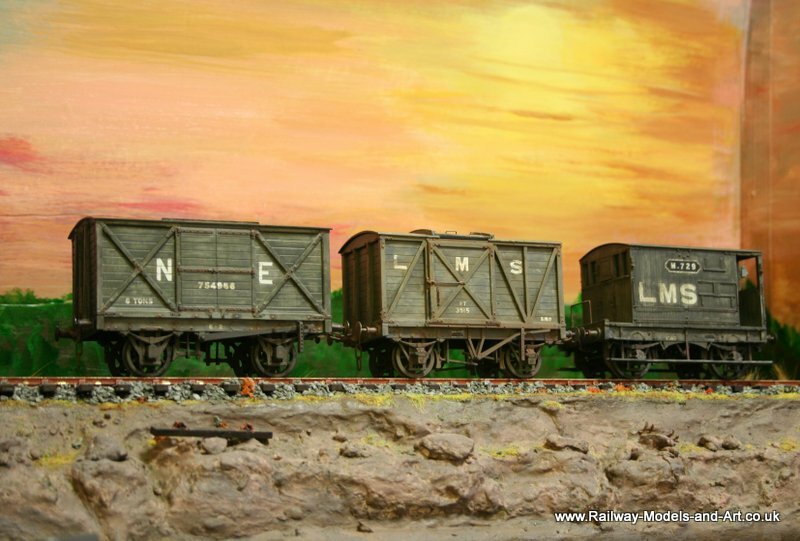 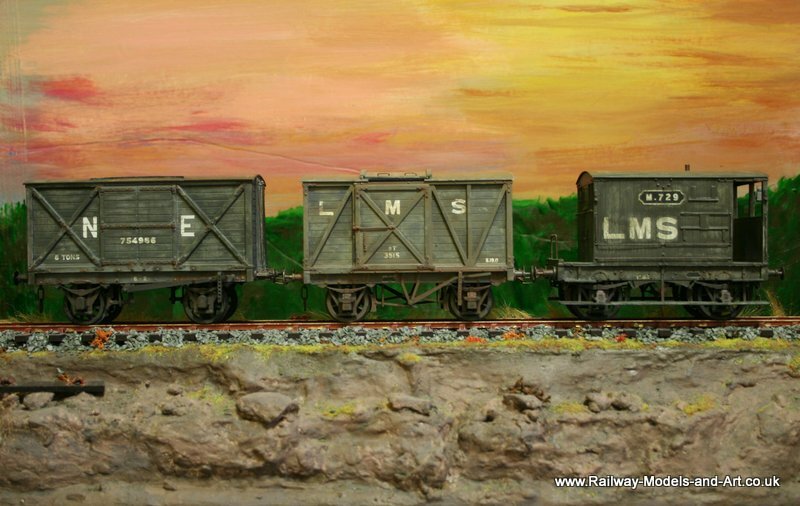 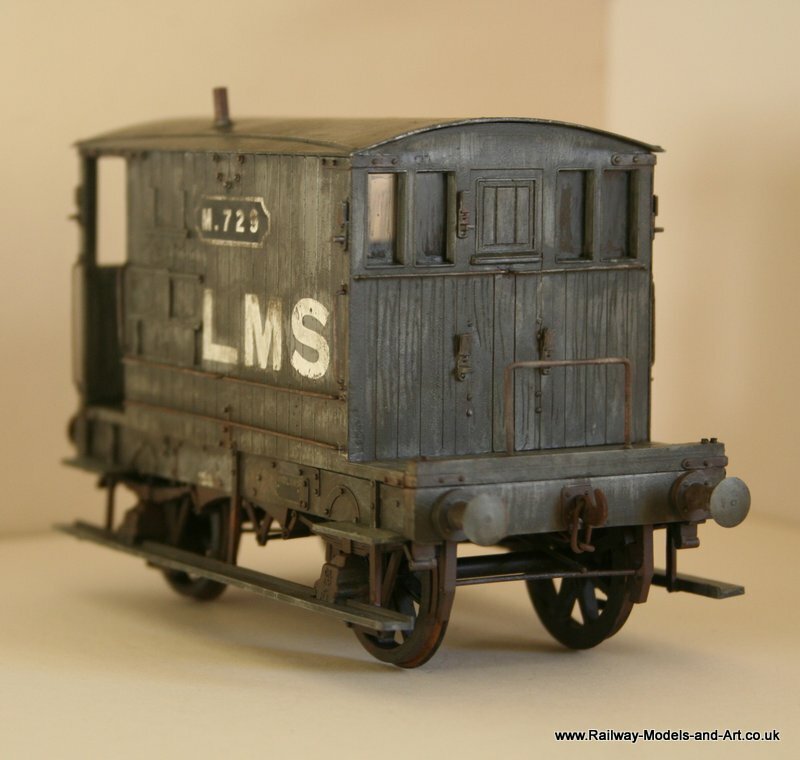 A while ago you may recall my building of a couple of LMS vans, an LNER 12 ton van and an ex NBR coke wagon? 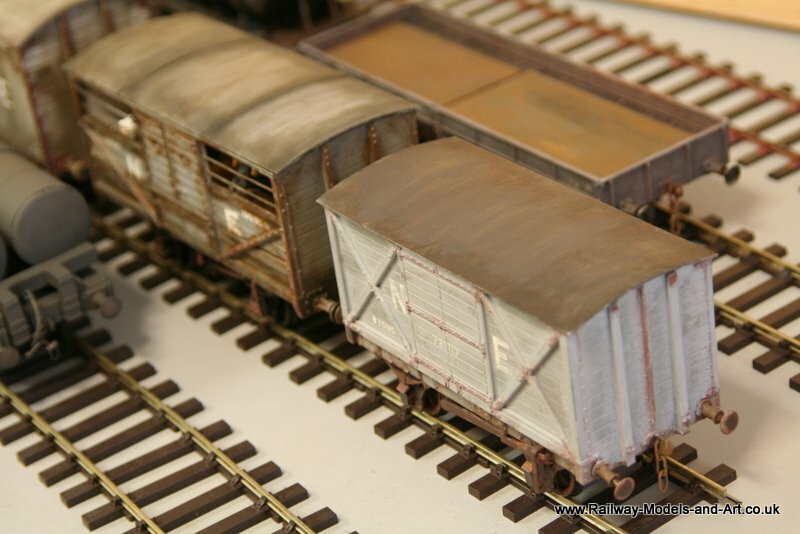 Well I finally made a start on weathering them. 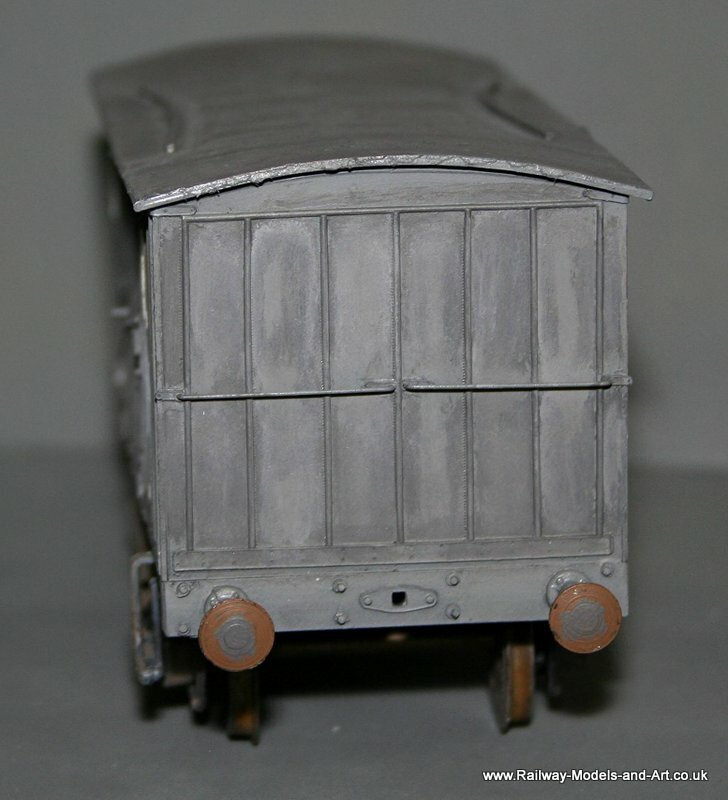 There is still work to do but I am pleased with where 3 sessions with the airbrush have got me to so far. 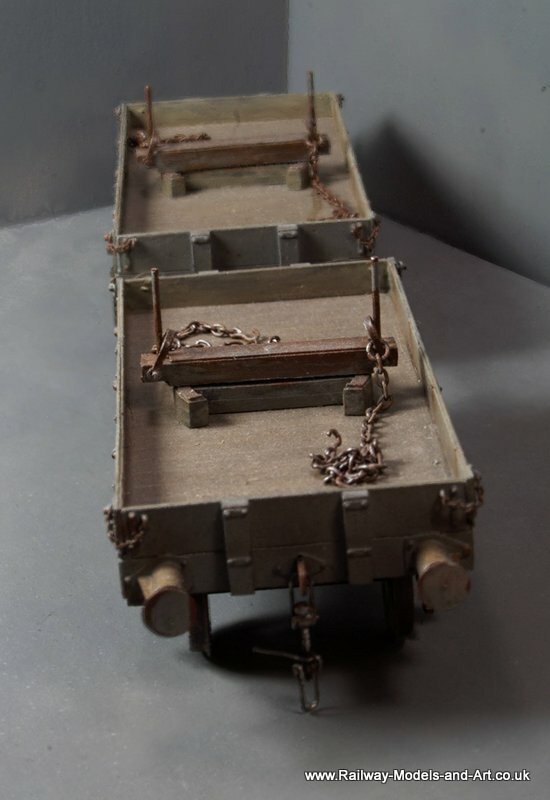 A few posts back Dave mentioned ghost writing. 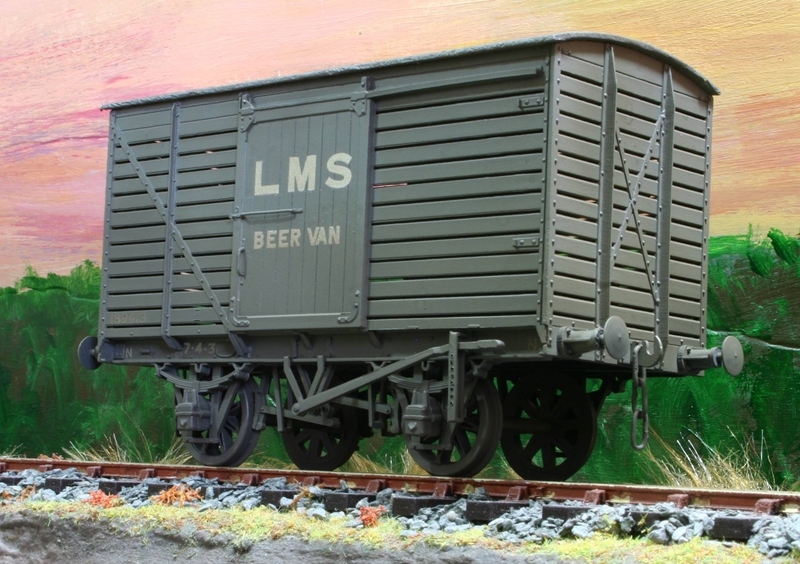 I liked the idea but then thought that during my modelling period the ghosts would still be alive. 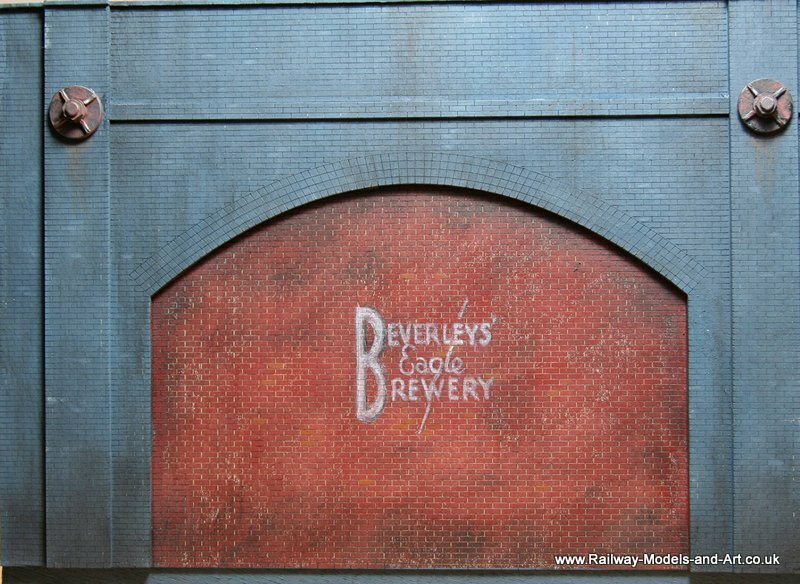 So an image search on’t tinterweb later had me a wall with a white painted advert for a long defunct local brewery. 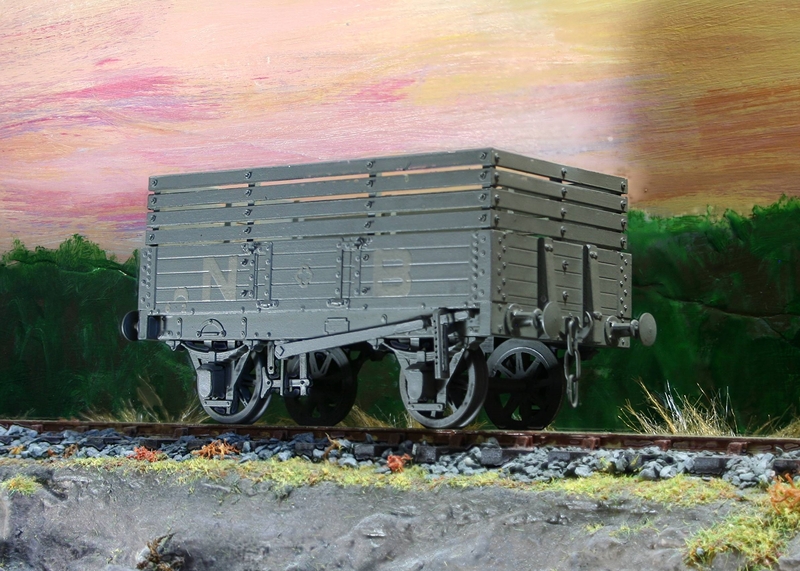 The image I found was taken at a slight angle so the image was manipulated with GIMP, sized and then printed onto a sheet of standard office paper. 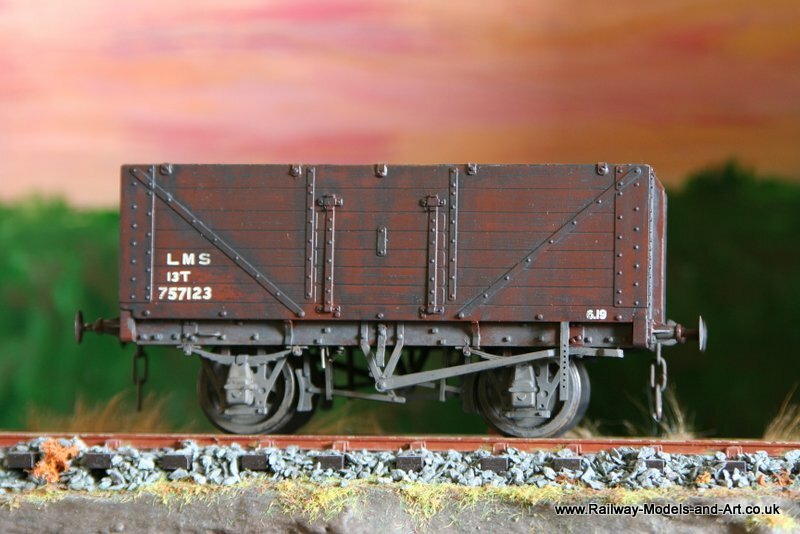 To get the image onto the brick work I coated the back using some “chalk” marker pens that I picked up in the stationary section in Boyes with chalk marks on wagons in mind. 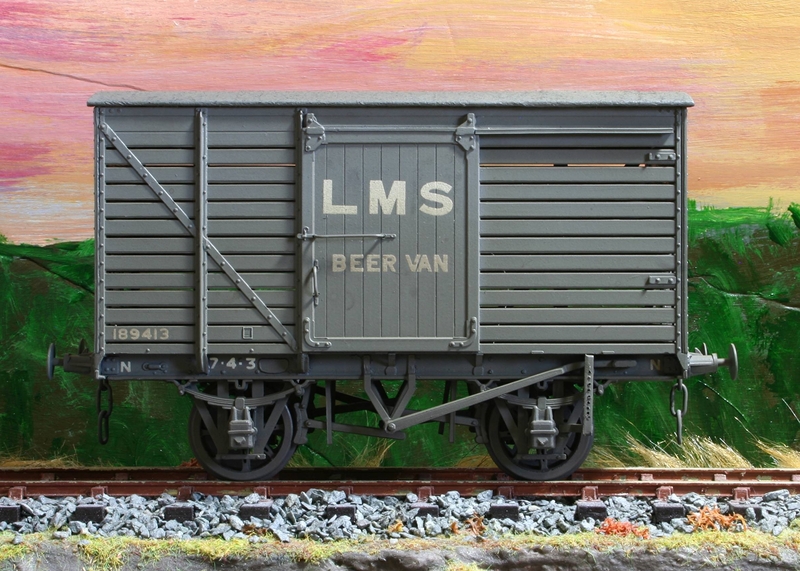 They are marketed as being for writing adverts on windows and blackboards. 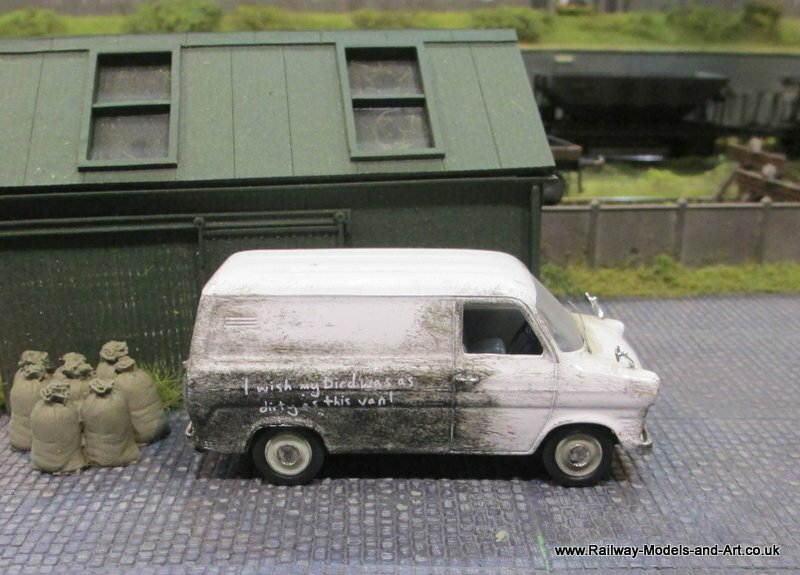 Once the back was thoroughly coated I then drew over the image side with a pencil leaving an impression much like using tracing paper. 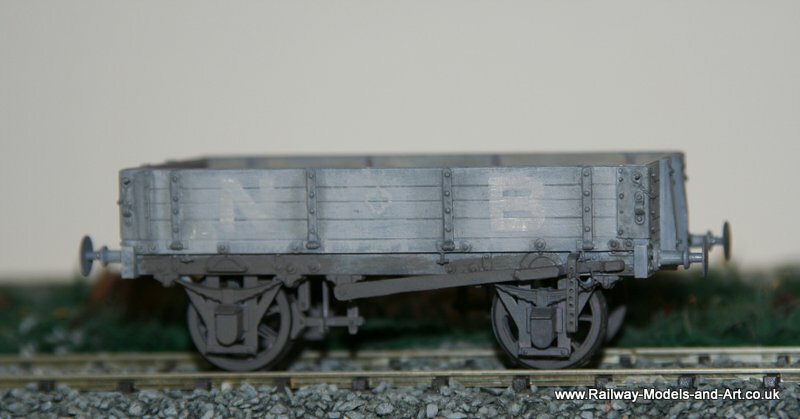 This was then carefully painted in and a slight shadow painted around some of the letters as in the original. 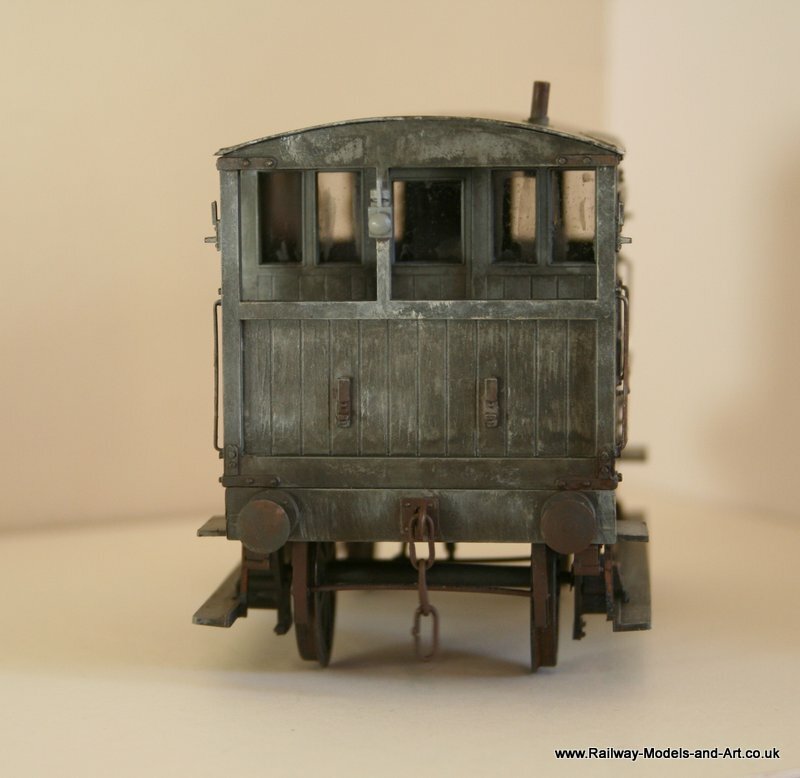 I am really rather pleased with the result. 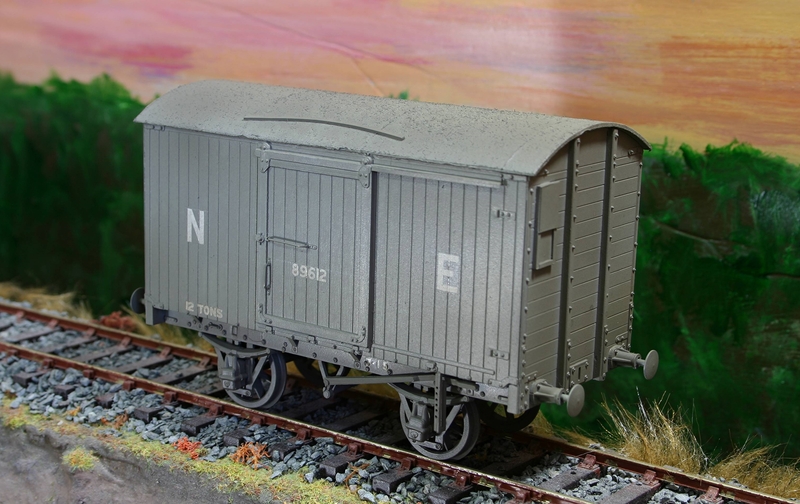 Although I didn’t get to doing any painting this weekend, last weekend along side the condemned van I also got the pipe wagon nearer to completion. 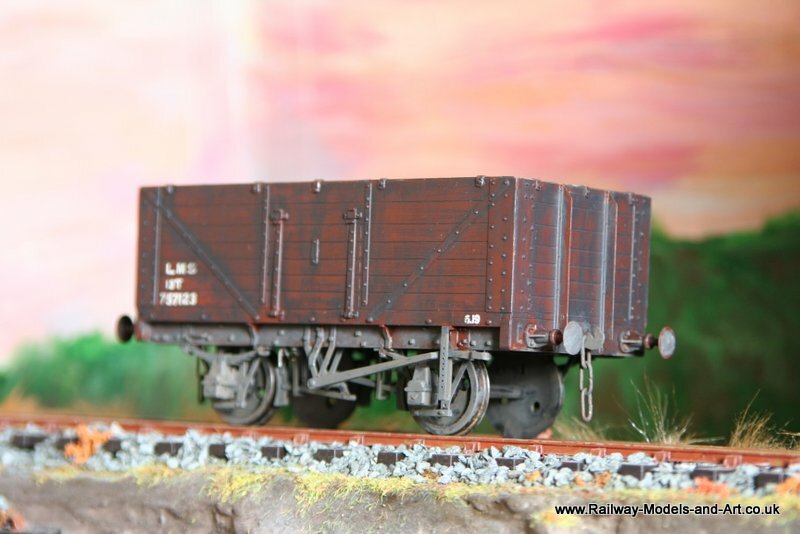 Although I haven’t managed any modelling while in Wakefield for what seems to be far too long I did manage a bit more painting and weathering over the weekend. 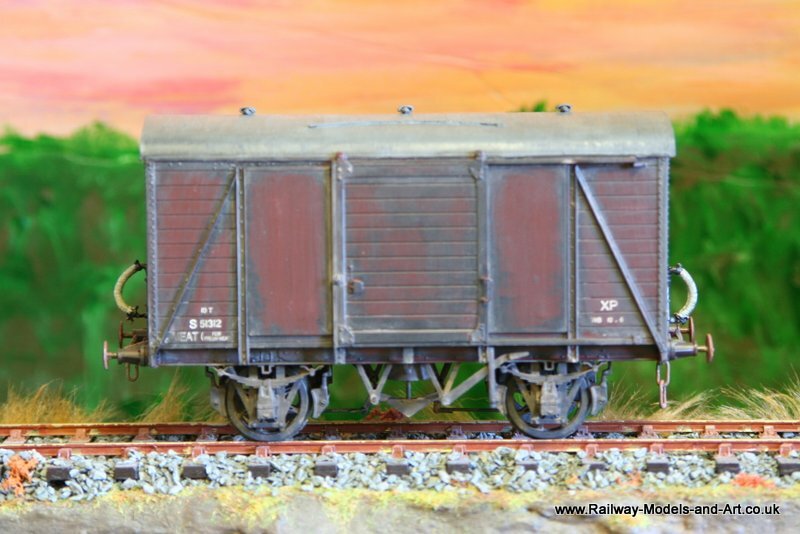 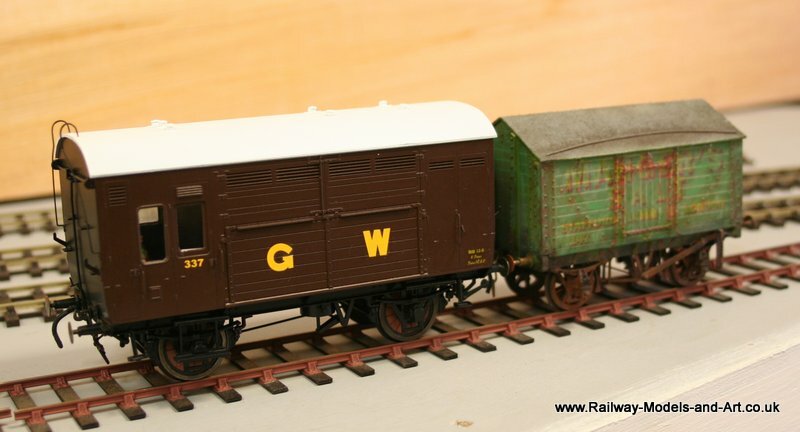 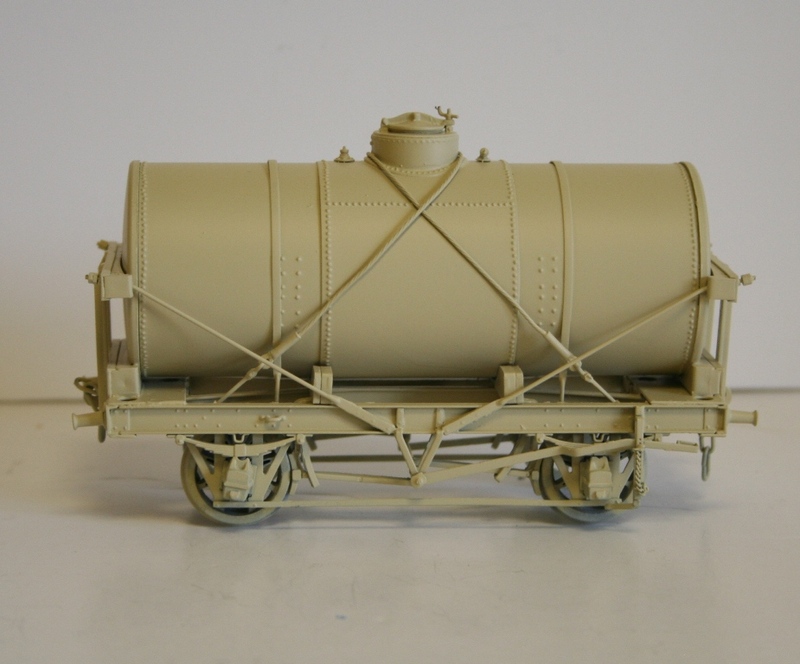 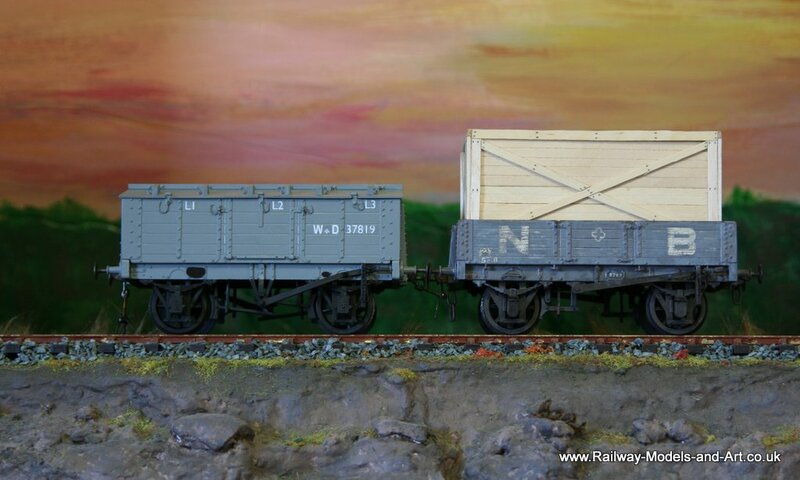 Apart from couplings the NBR Dropside wagon is finished. 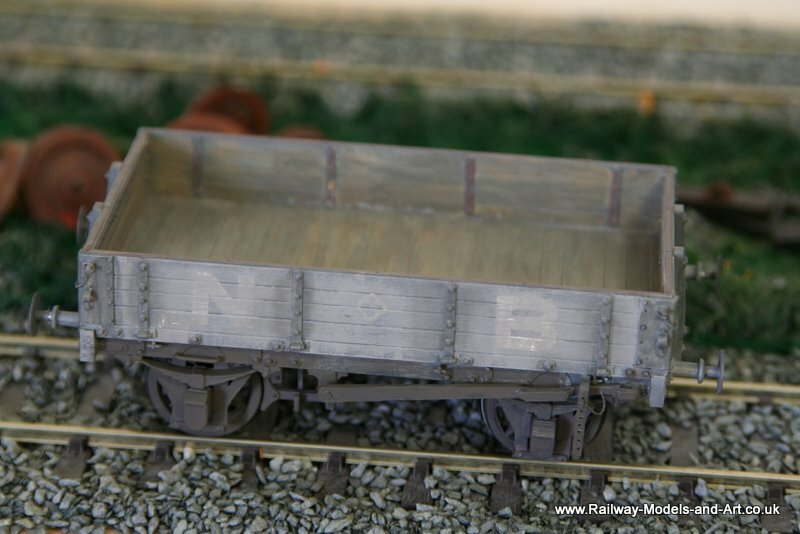 It’s not clearly visible anymore but I have added a paint date of ’19 in the crescent on the sides and weathered it based on photos of NBR 3 and 4 plank wagons in Tatlow. 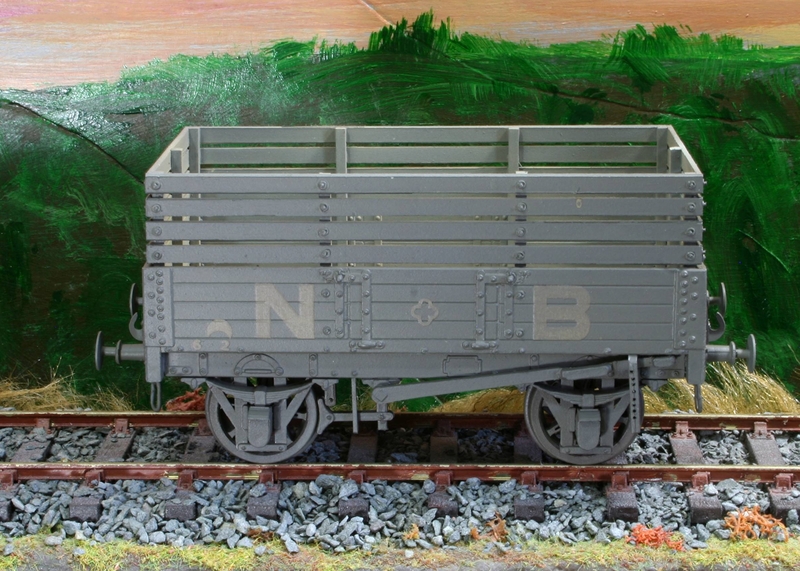 Lastly I added it’s load after playing around painting that with some ‘wood’ coloured paint…. 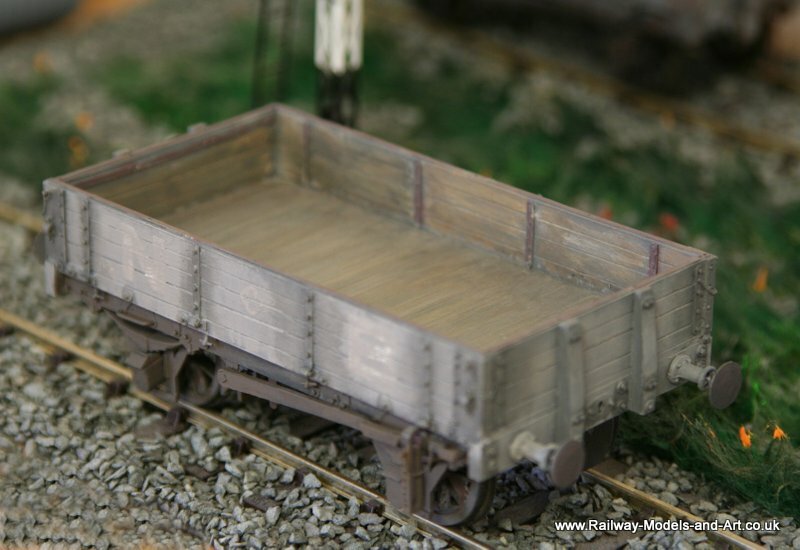 Modelling has taken a bit of a back seat to gardening and work the last few weeks so it was good to do a bit over the weekend. 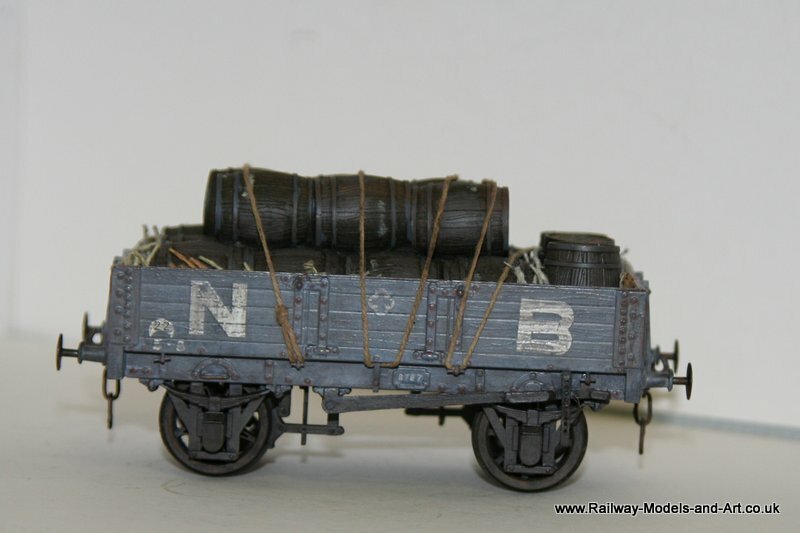 I started by re-roping the NBR open – the sisal string that I used originally just didn’t look right. 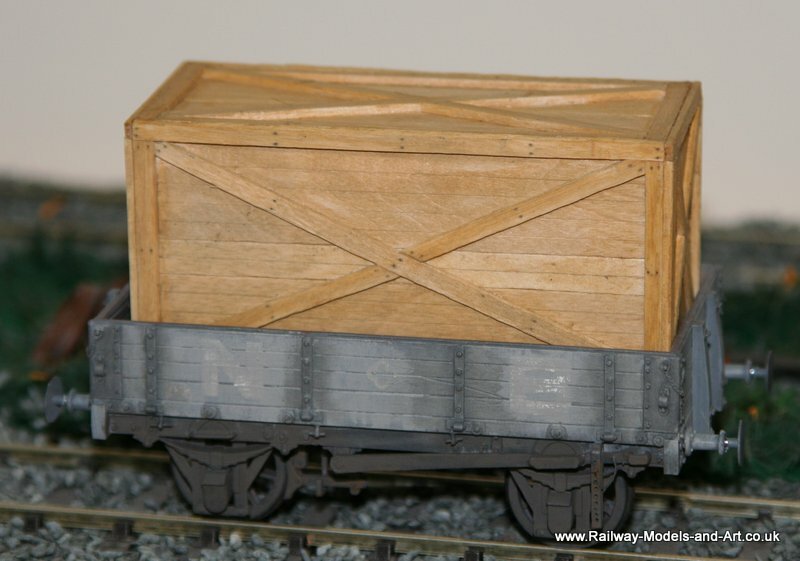 Chris found me something better and I also took Bob Alderman’s advice and ran it through block of beeswax which makes it much easier to use and smooths off the “hairiness” of the cord. 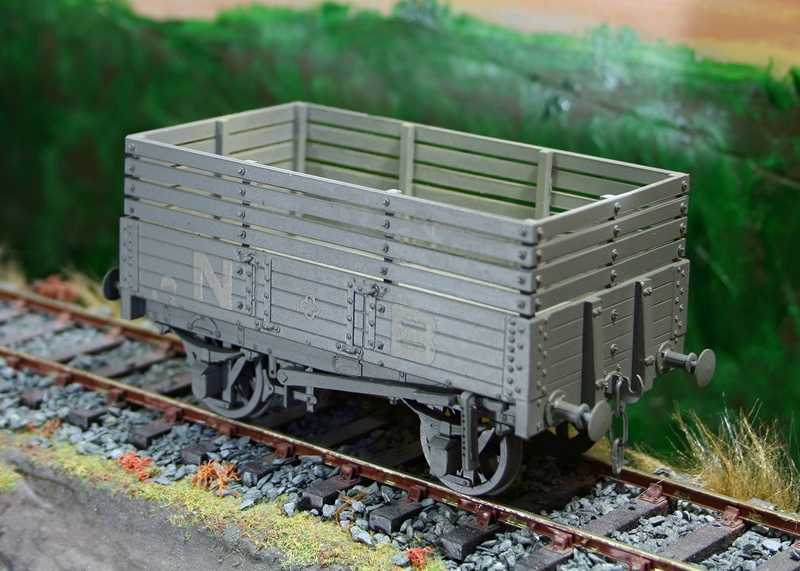 I took the opportunity of shredding a bit more sisal string and colouring it to add to the ‘straw’ packing. 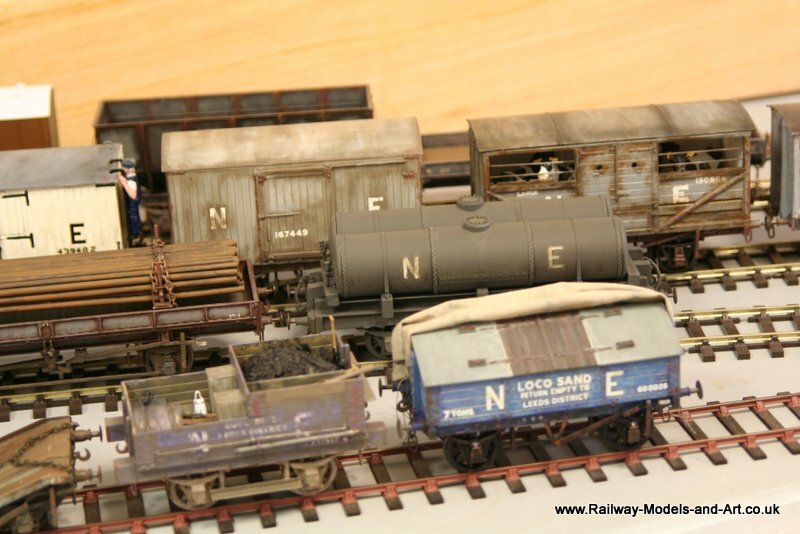 It all looks big in this close up but it’s quite fine cord at normal viewing distances. 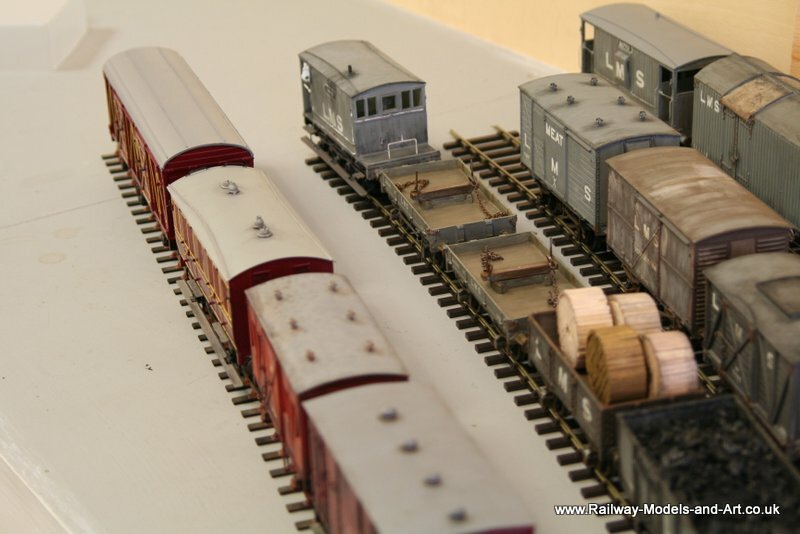 Although they haven’t been in front of the camera yet I have painted and added transfers to the NBR dropside and another Slaters Salt wagon. 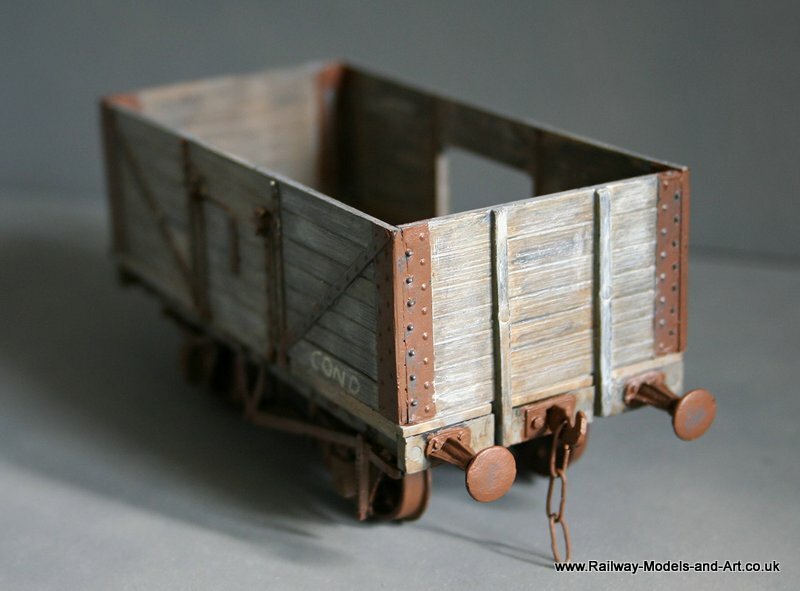 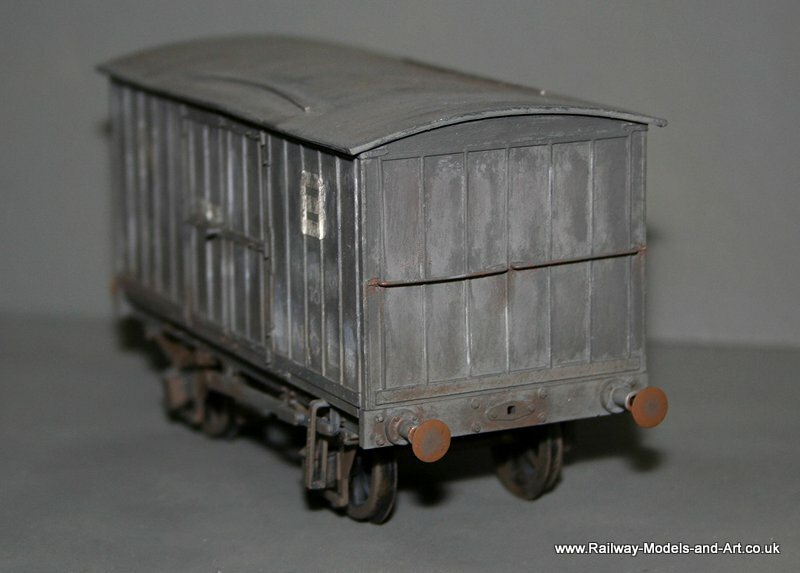 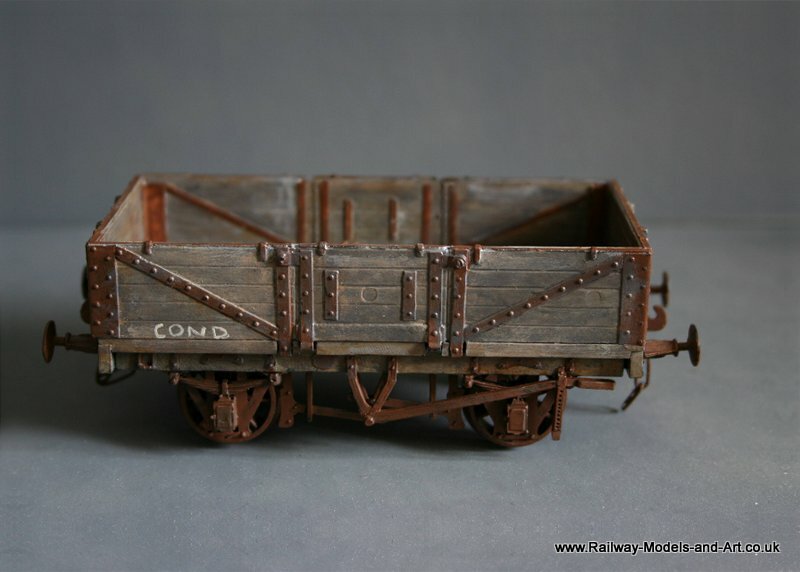 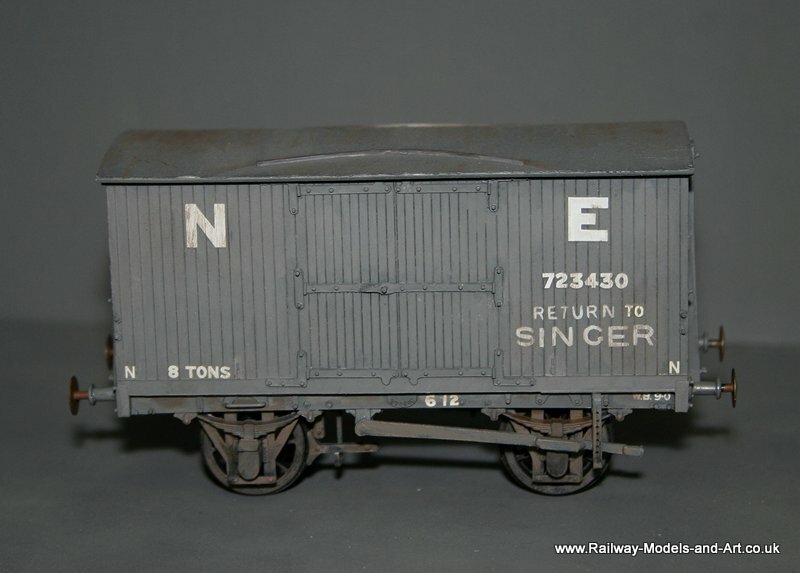 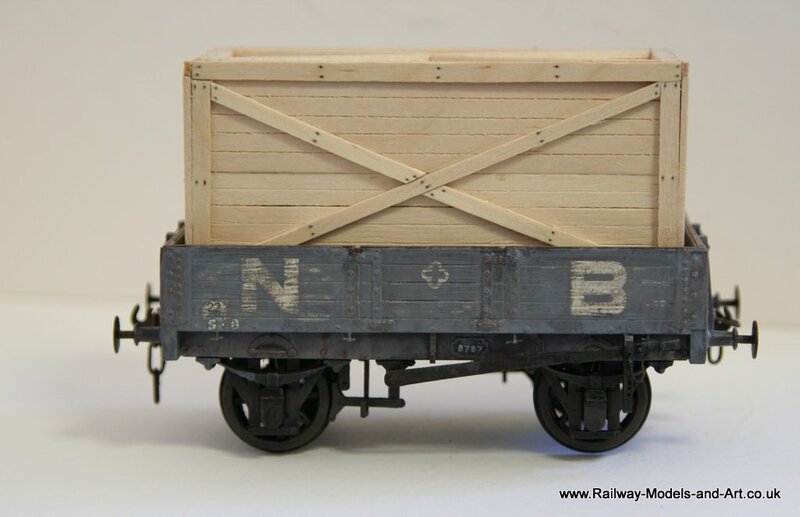 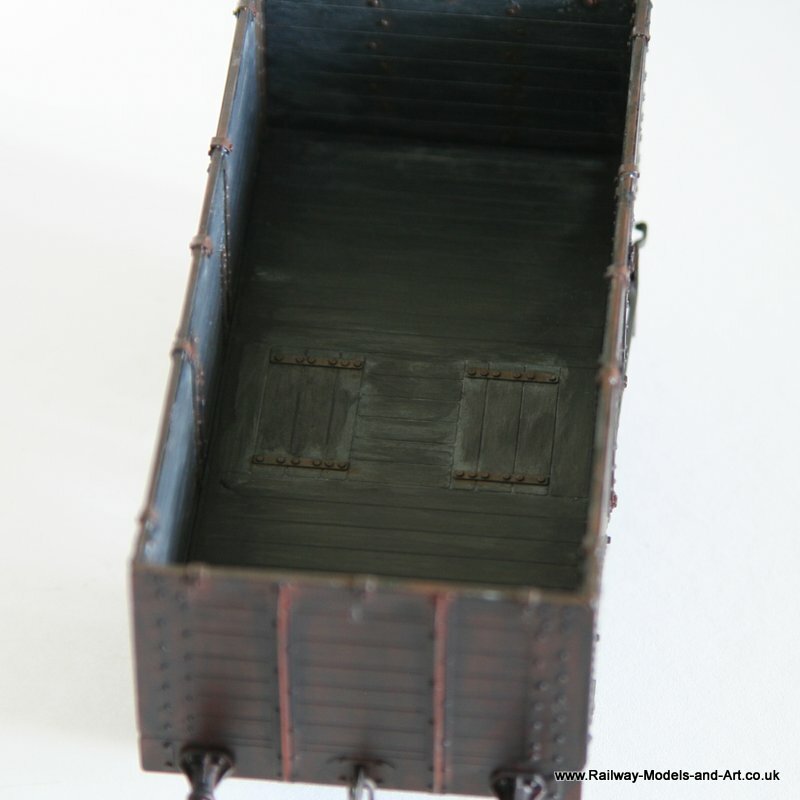 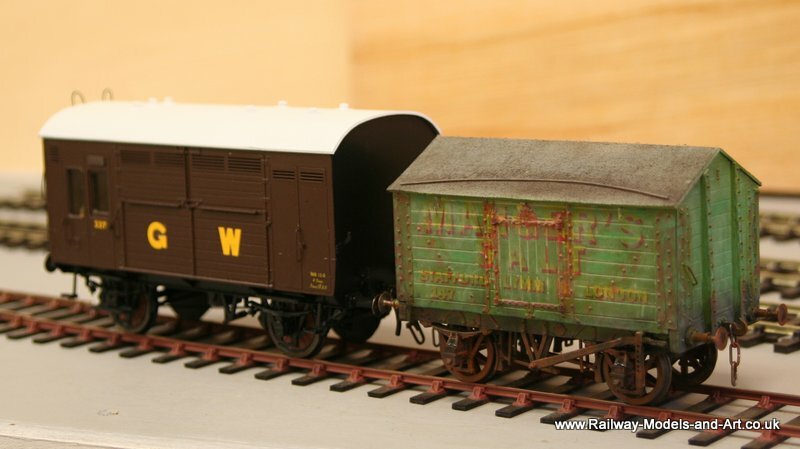 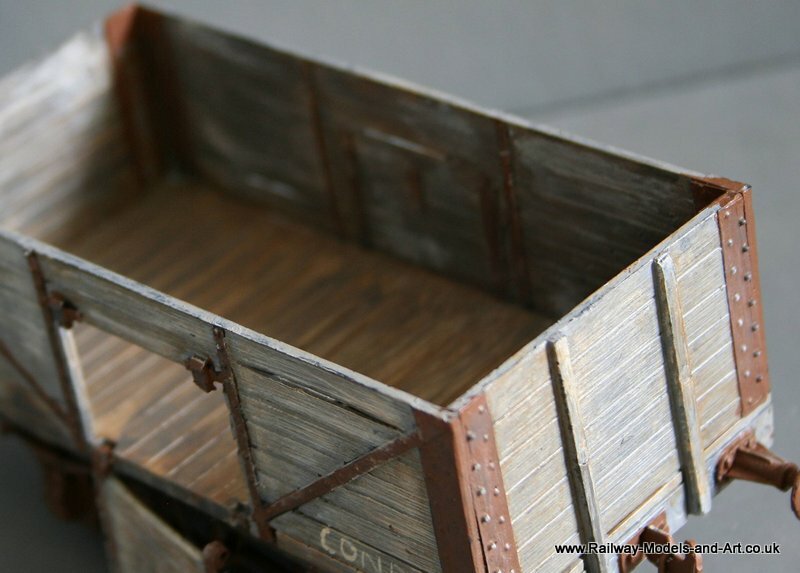 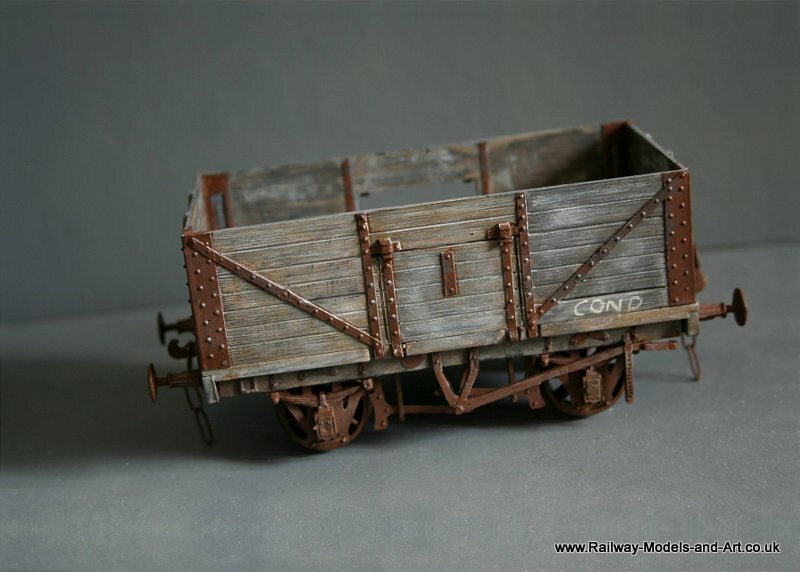 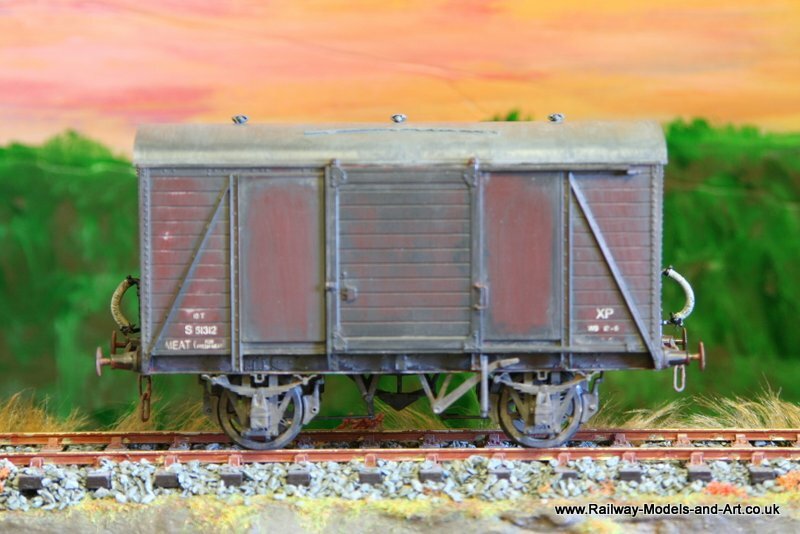 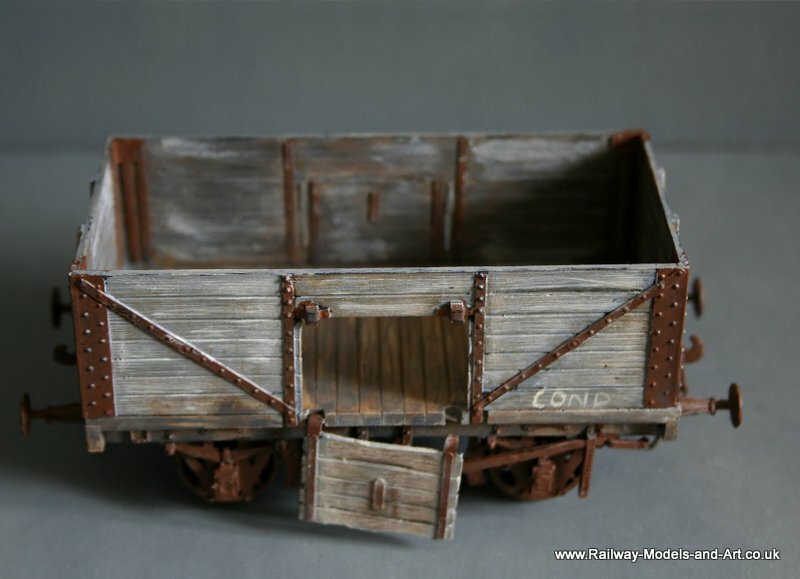 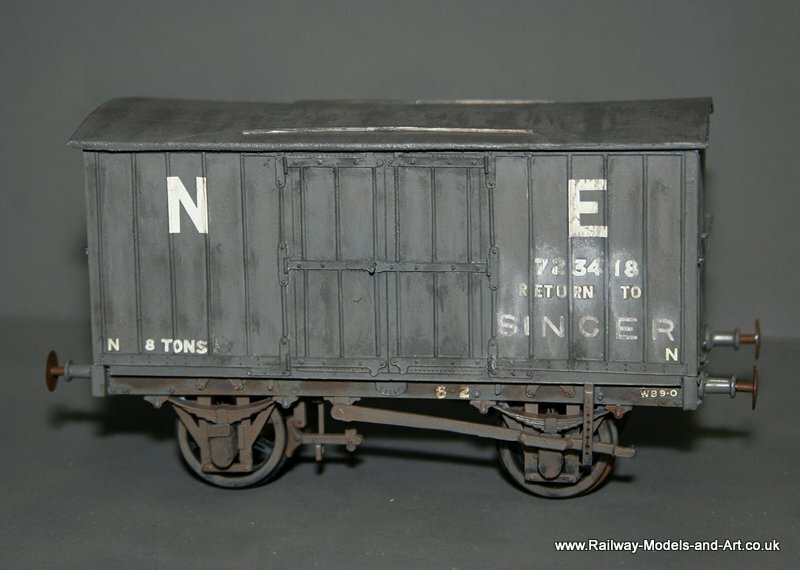 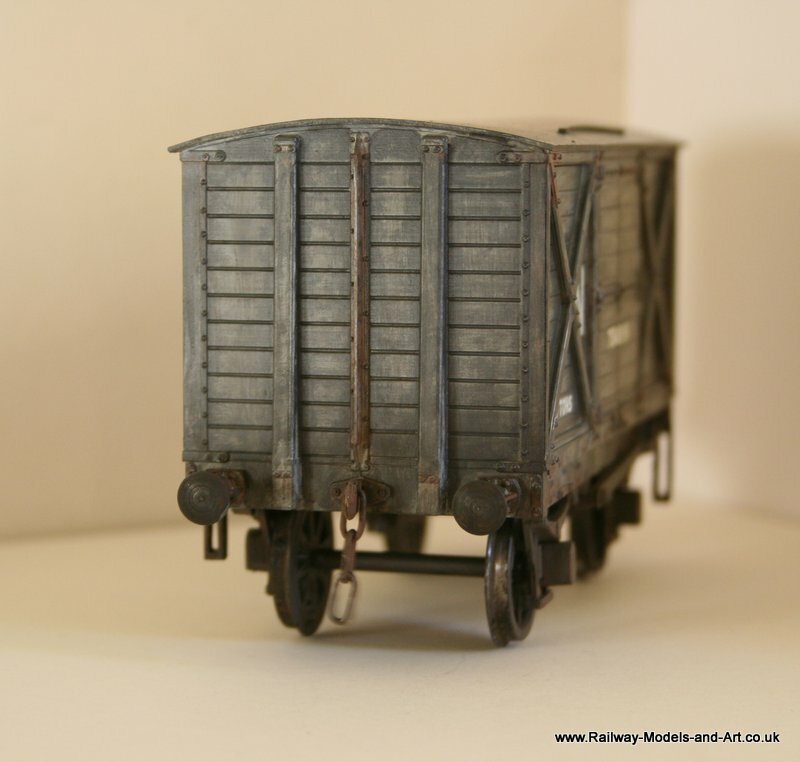 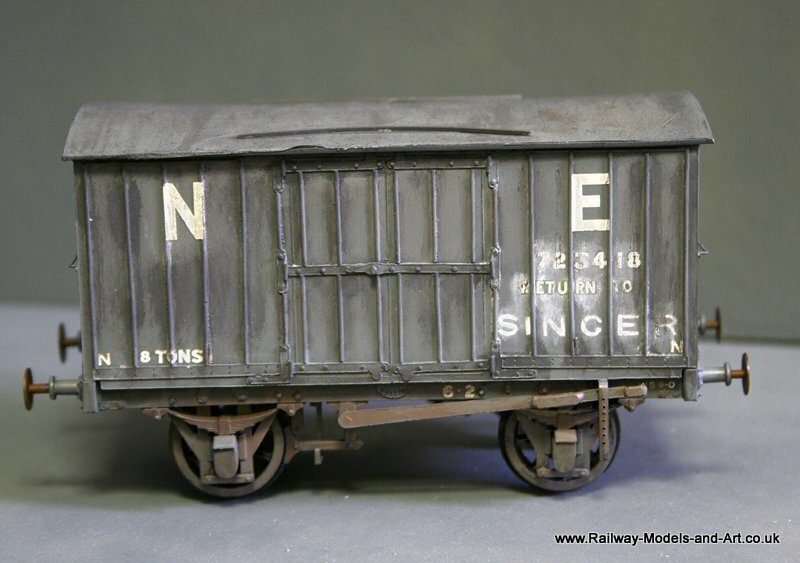 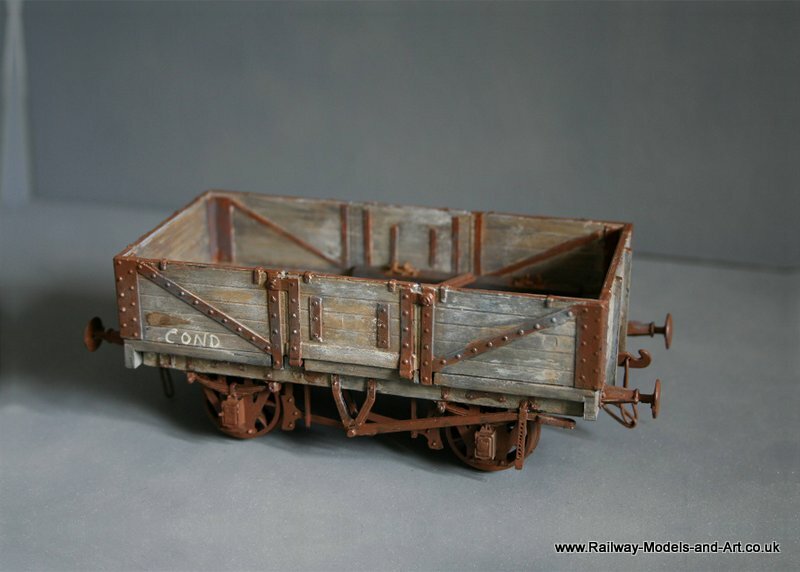 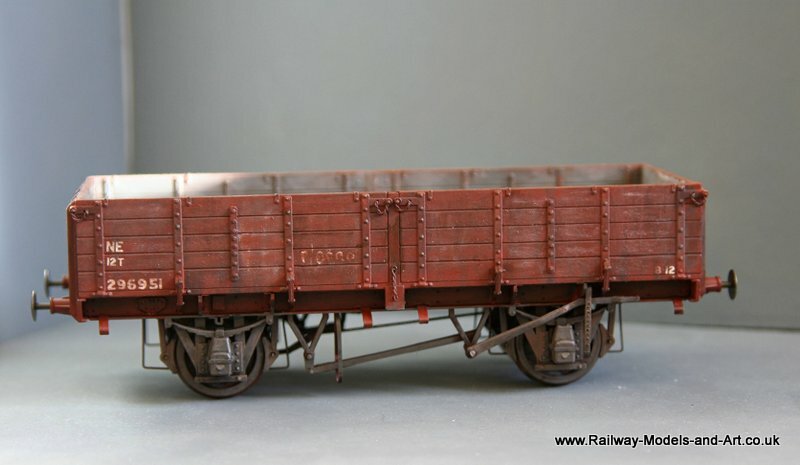 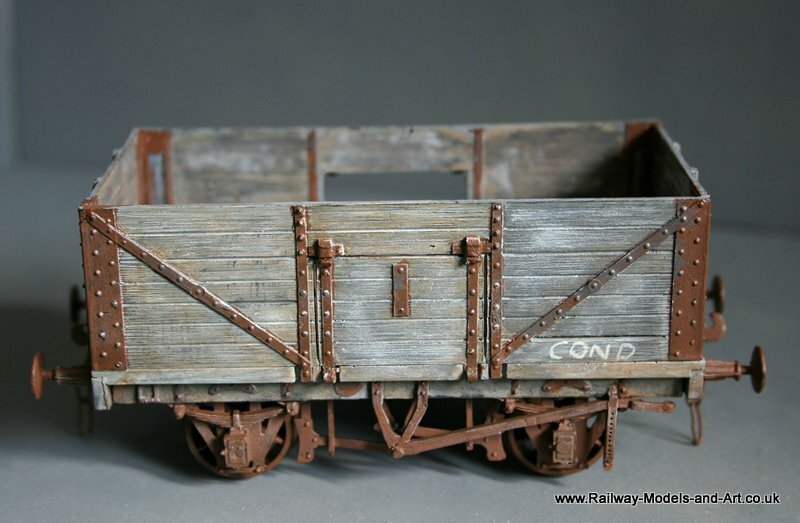 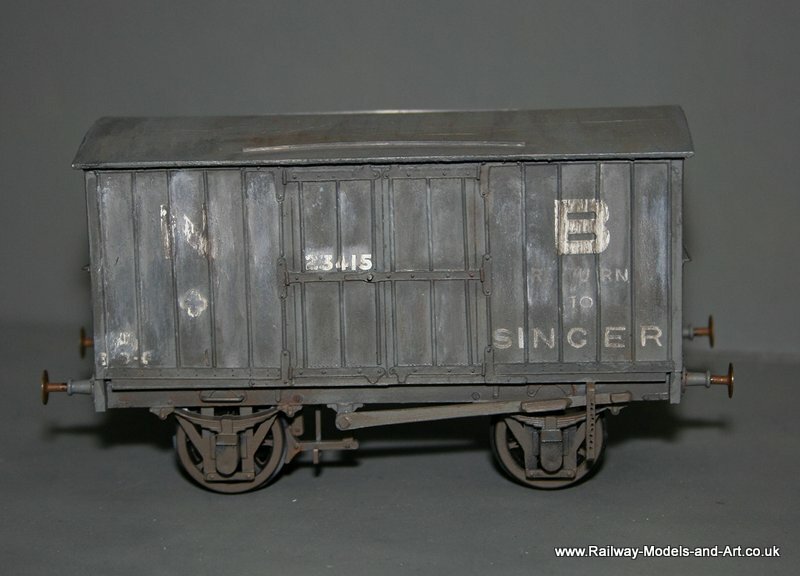 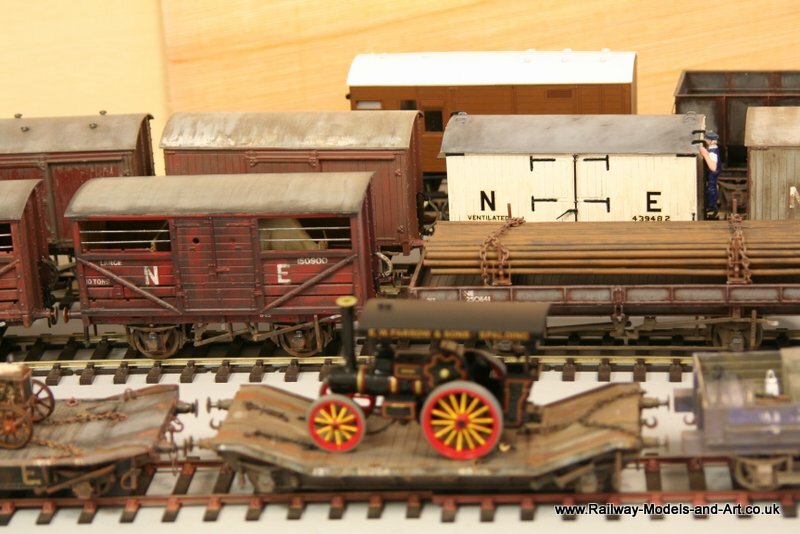 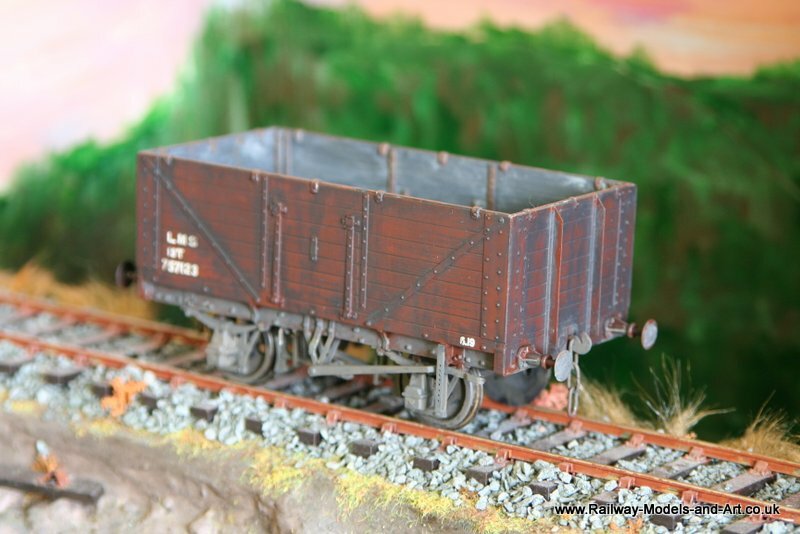 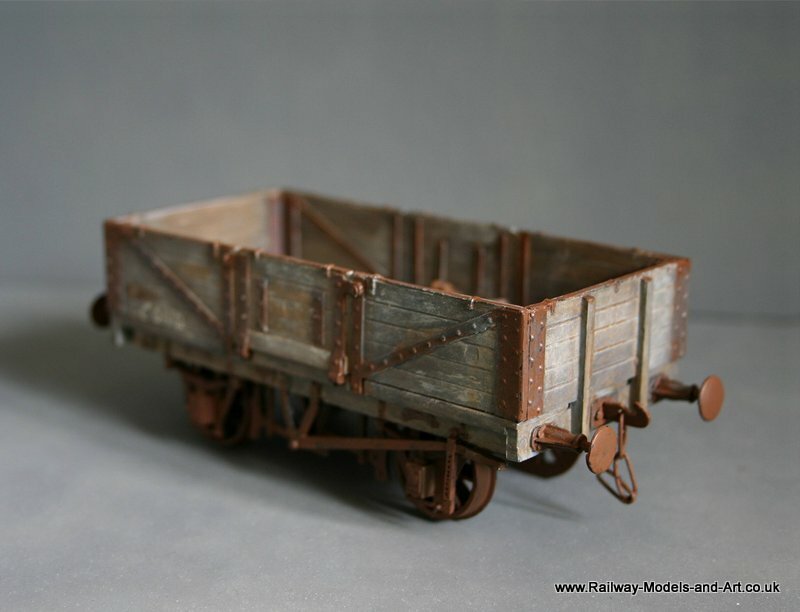 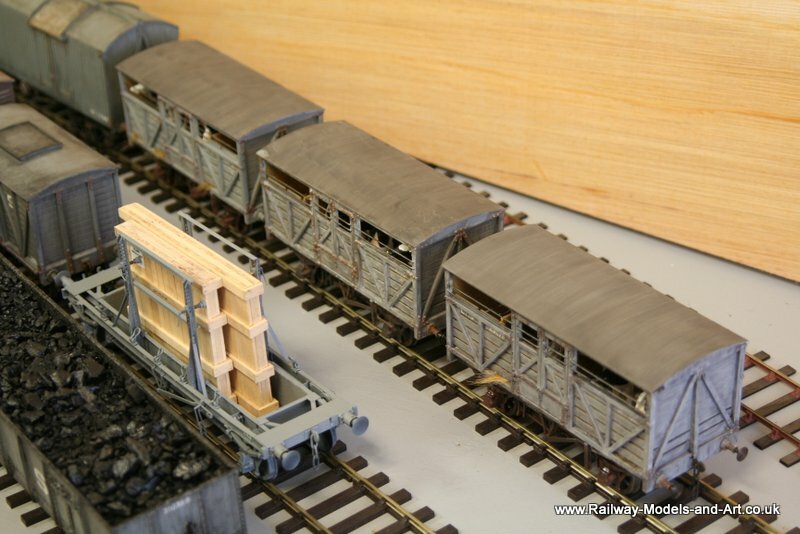 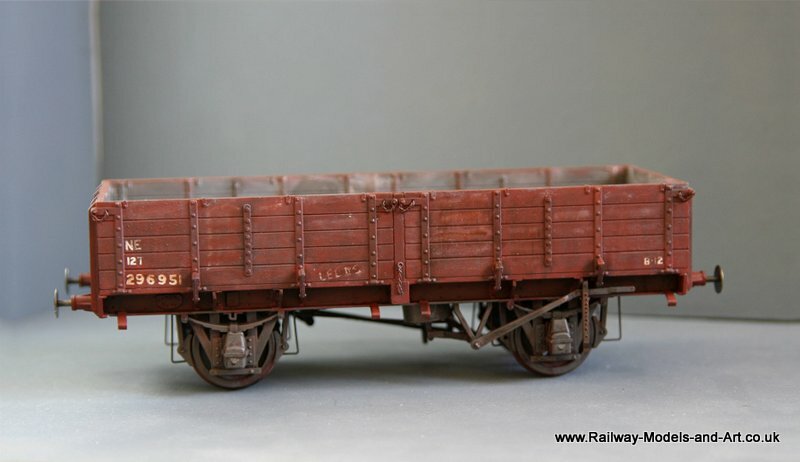 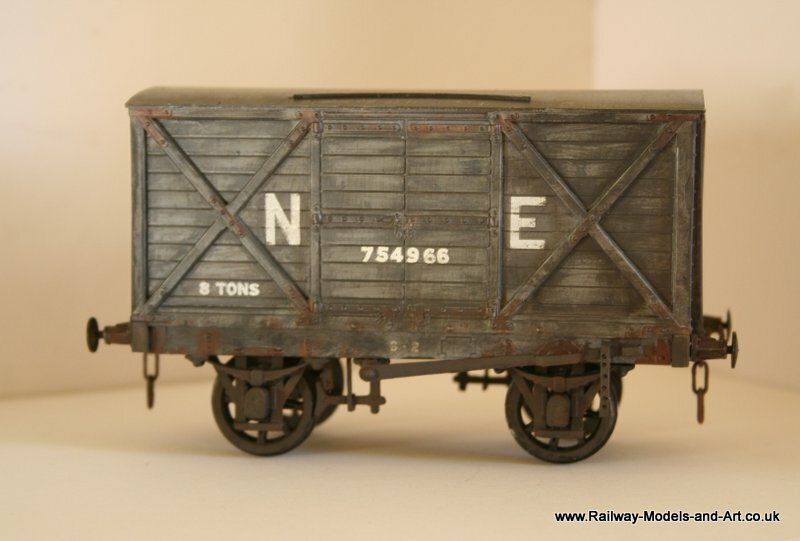 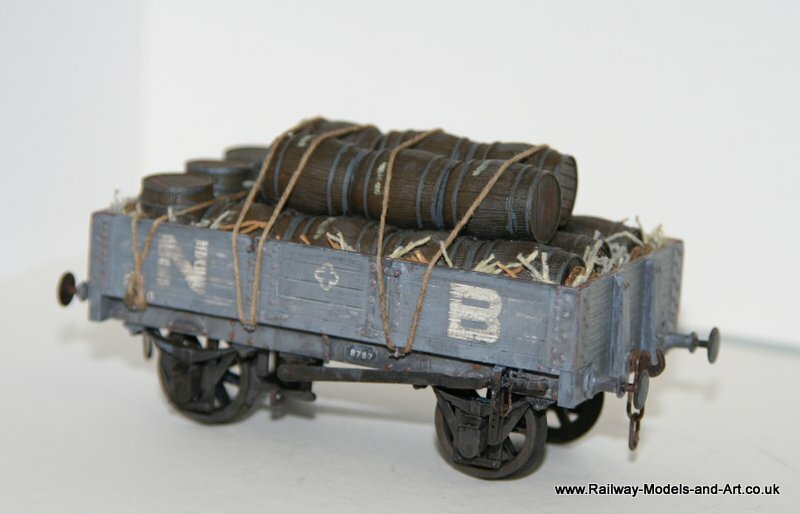 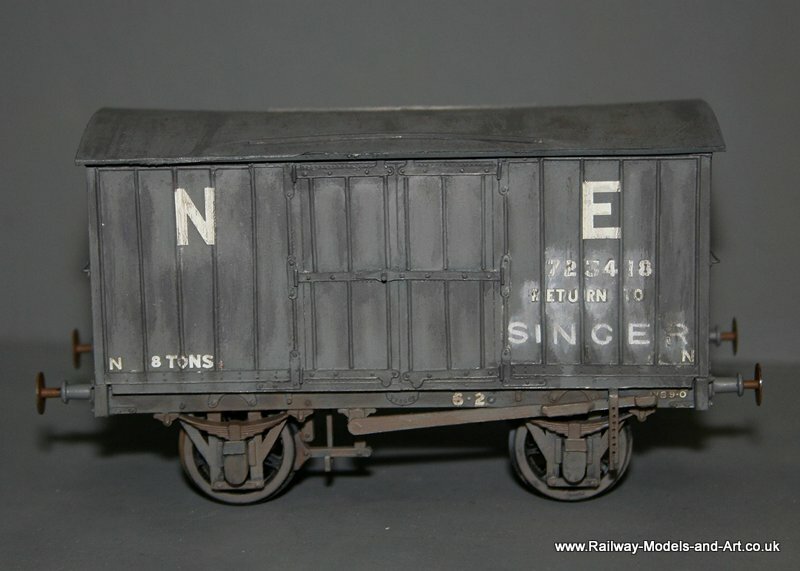 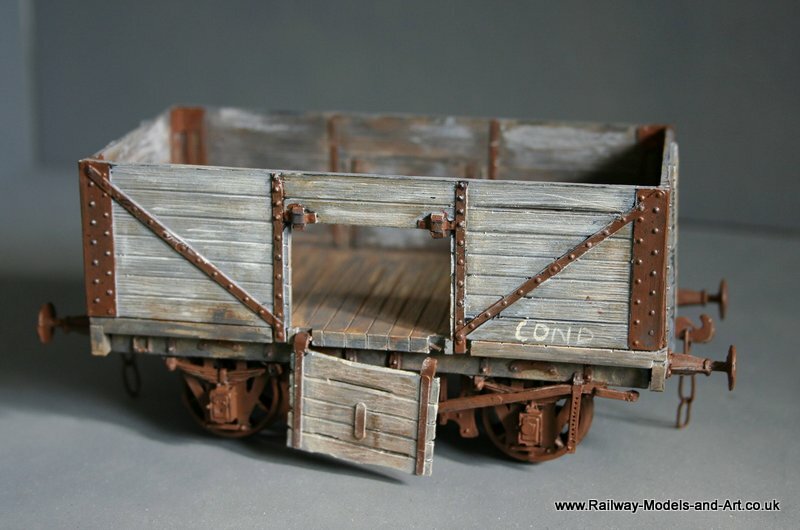 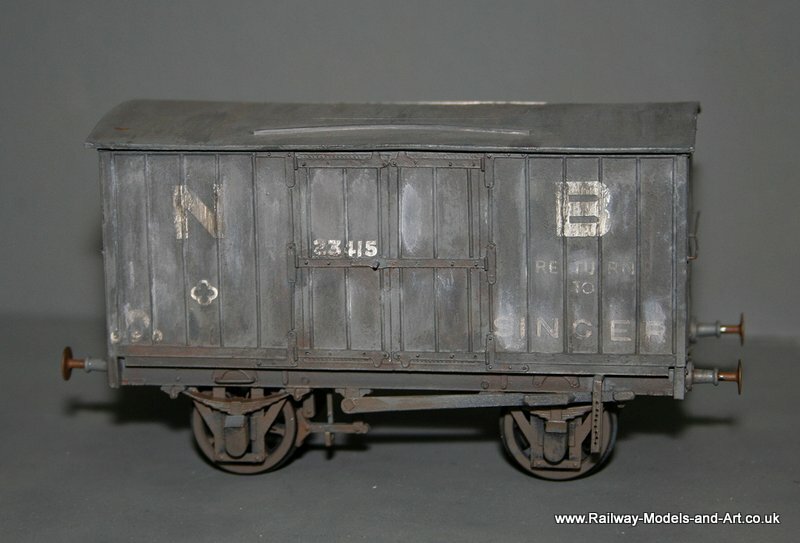 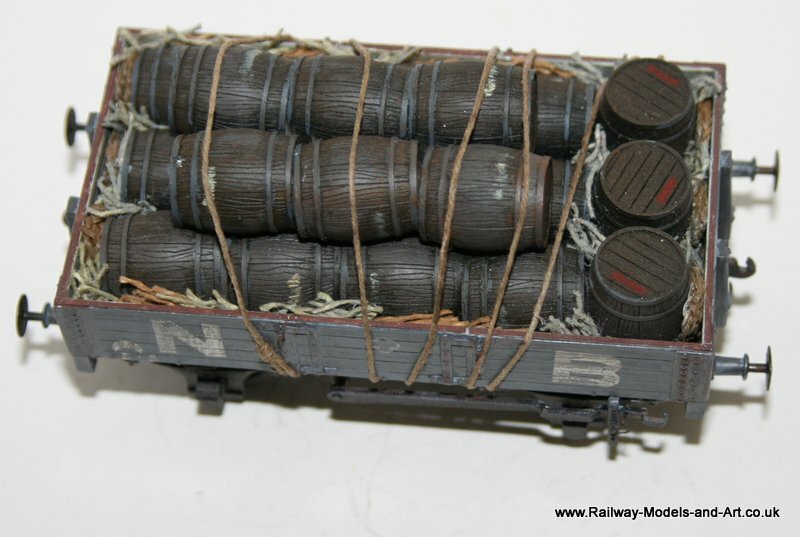 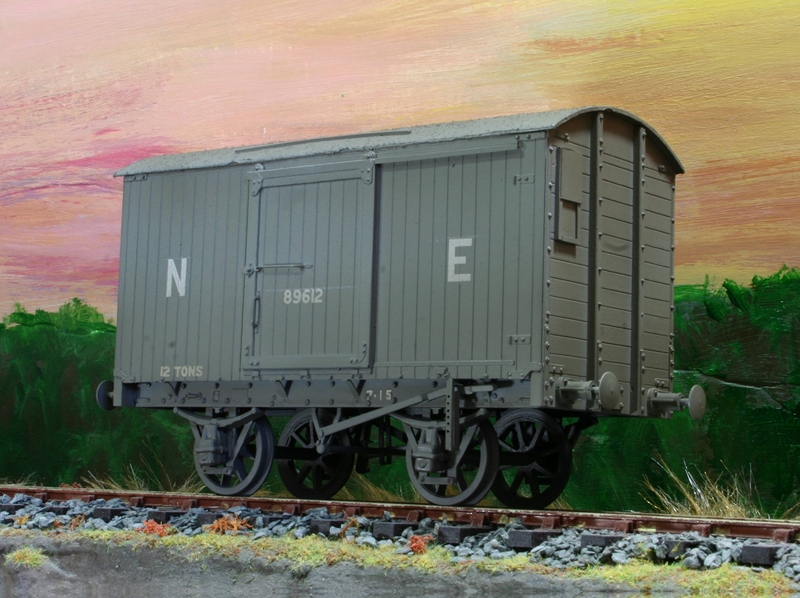 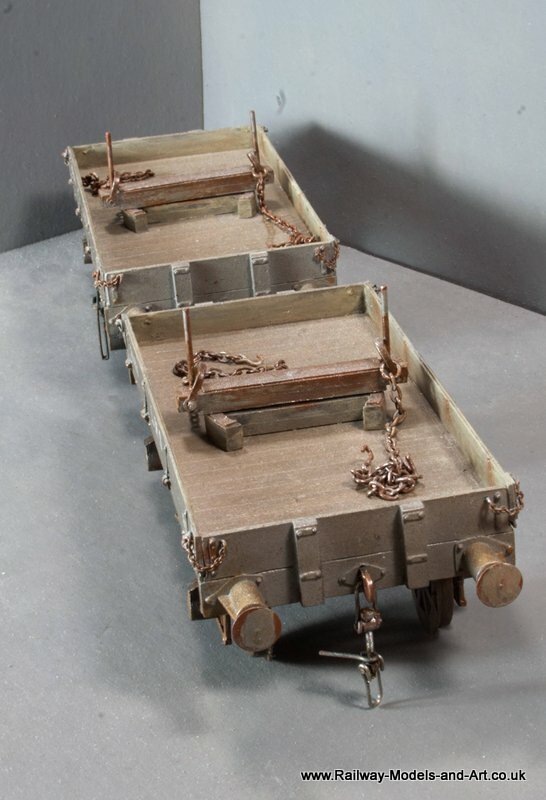 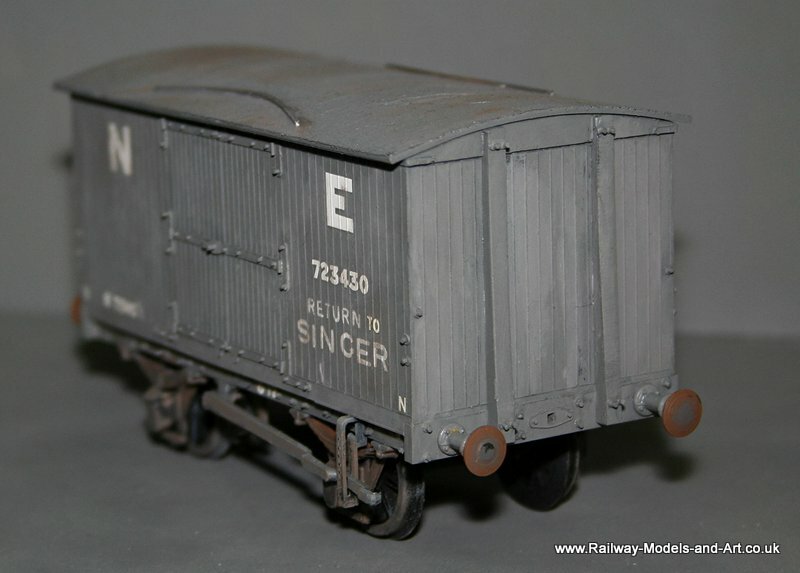 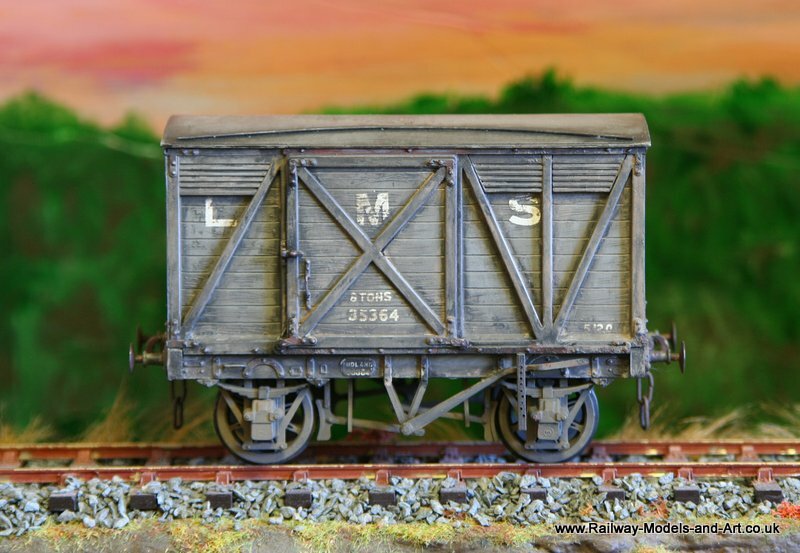 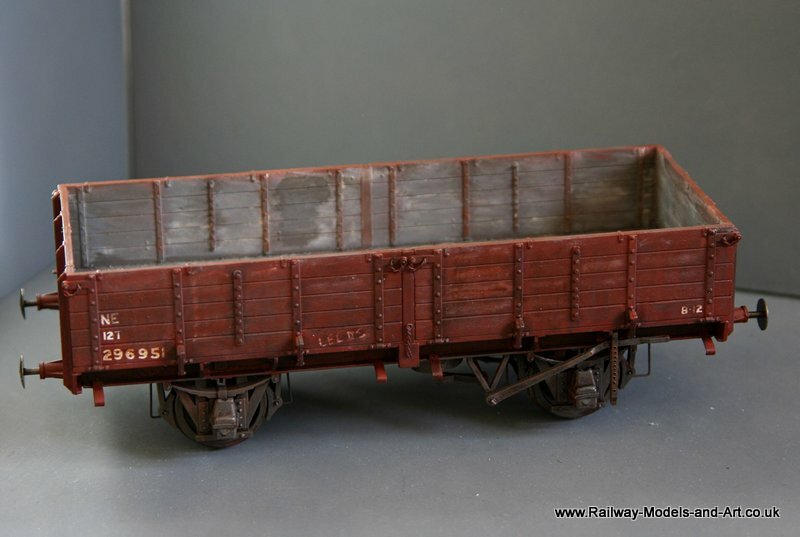 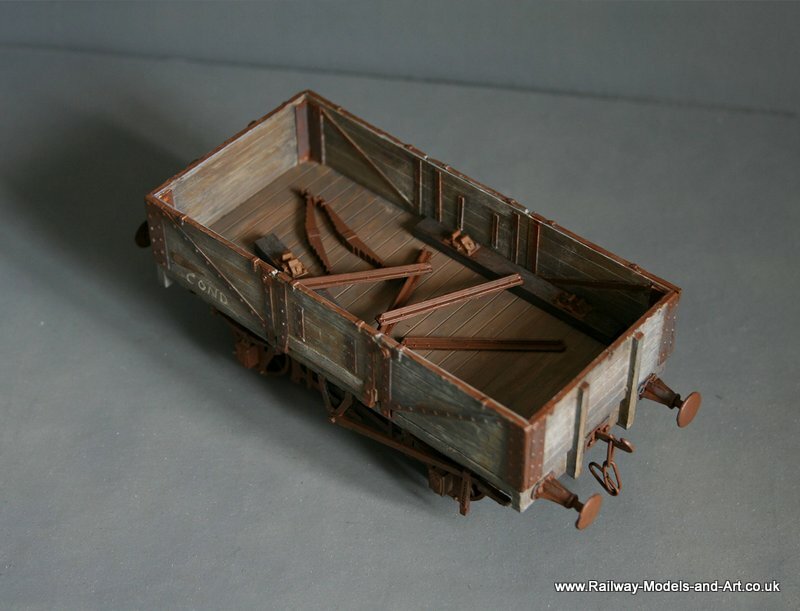 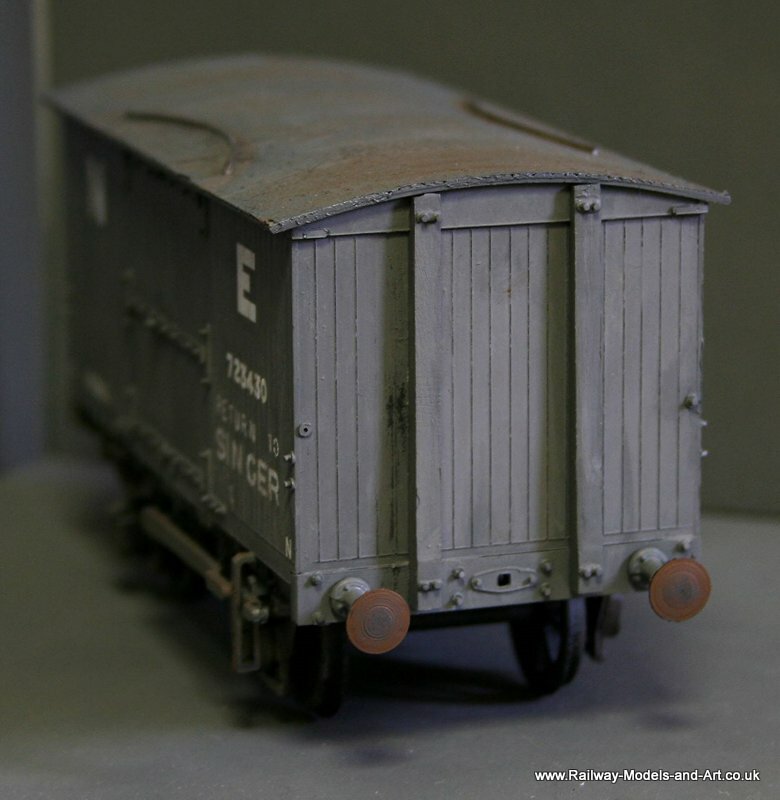 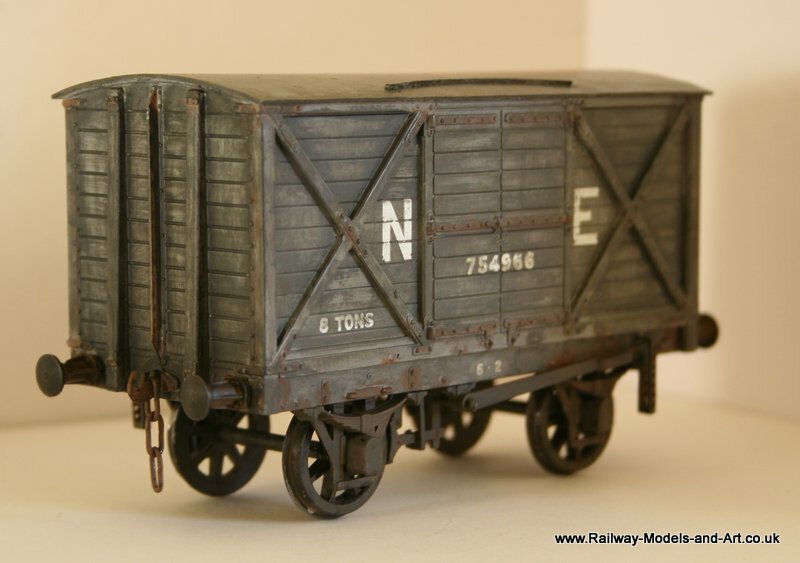 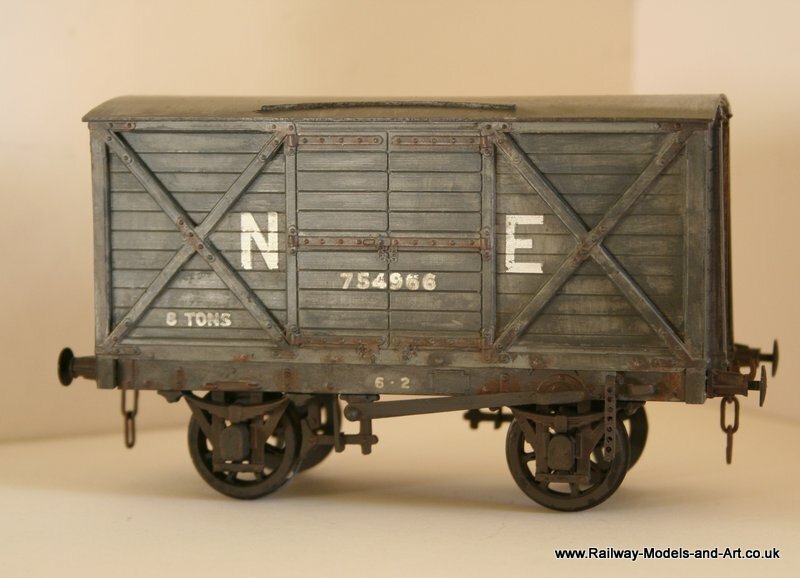 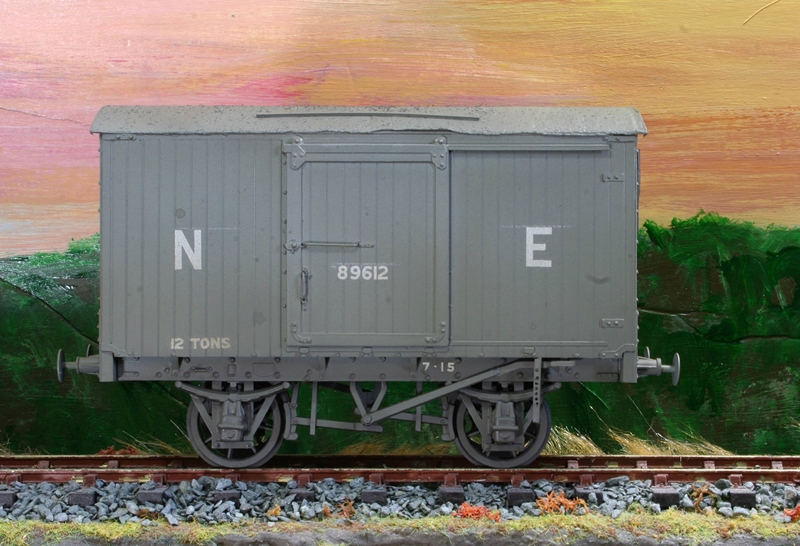 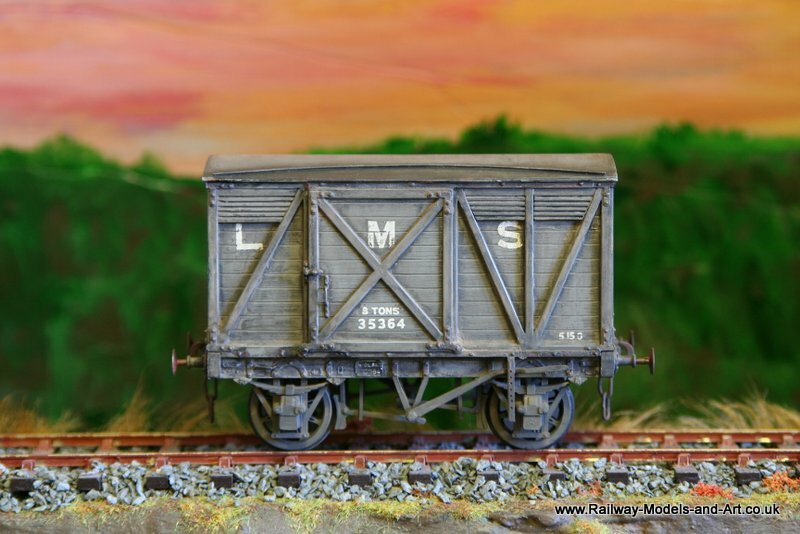 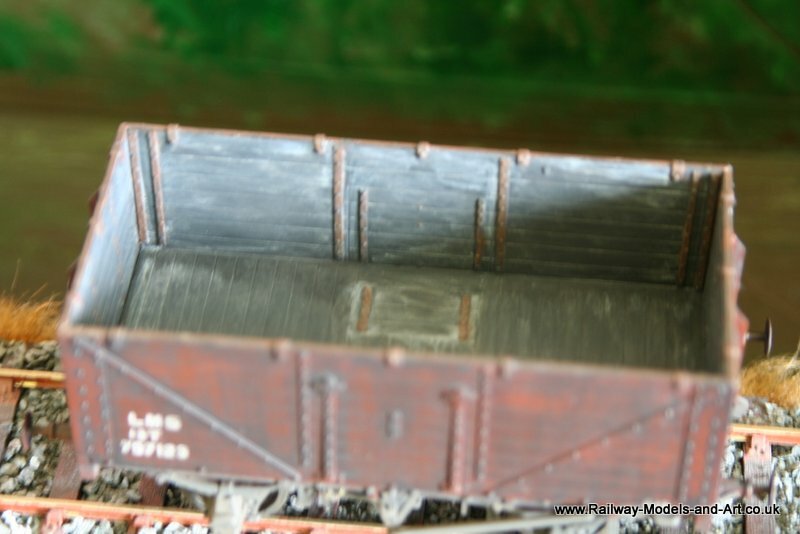 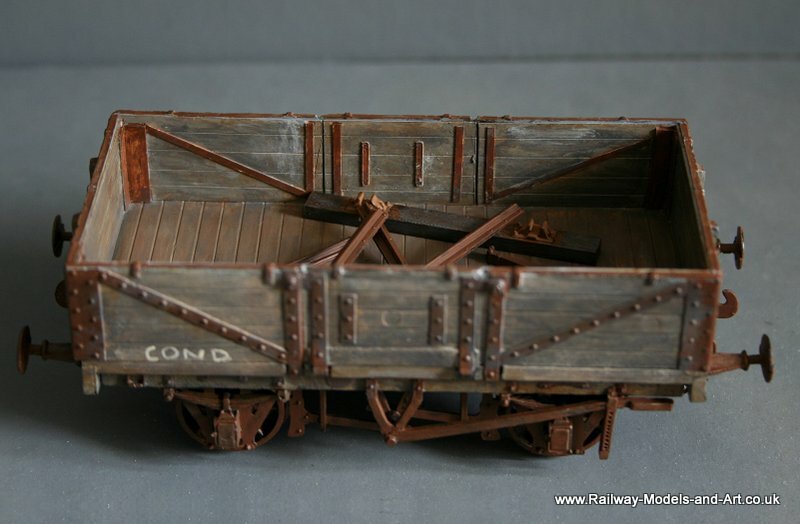 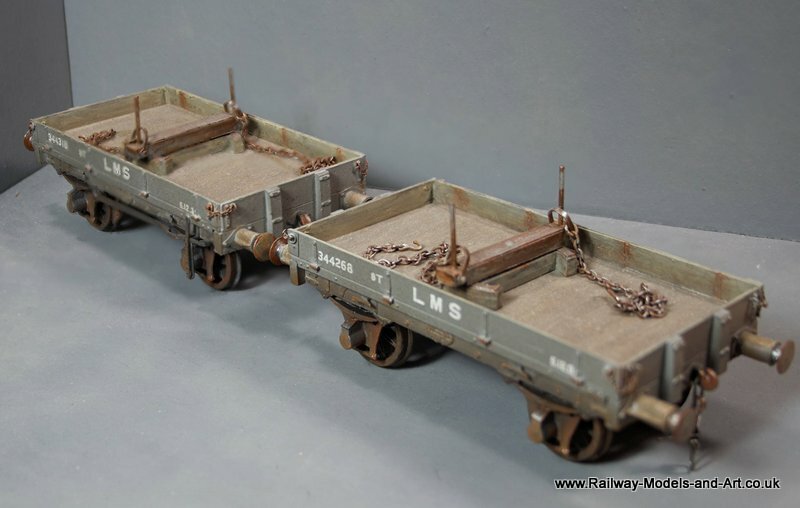 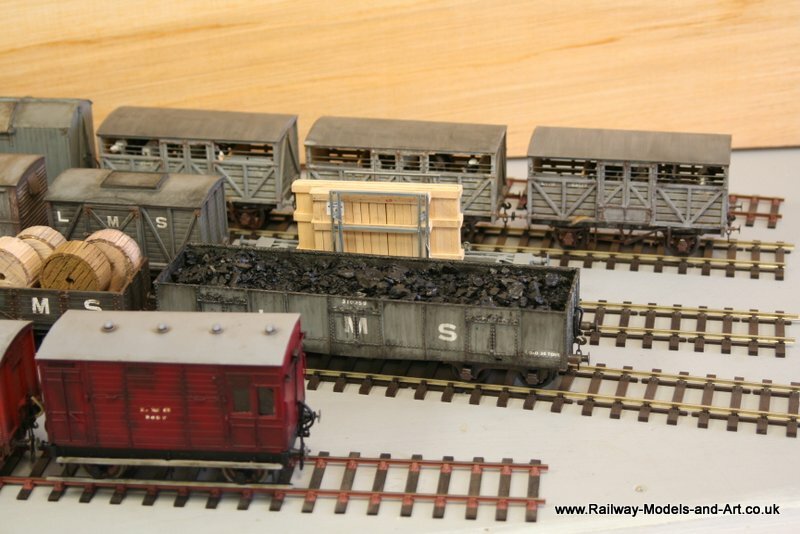 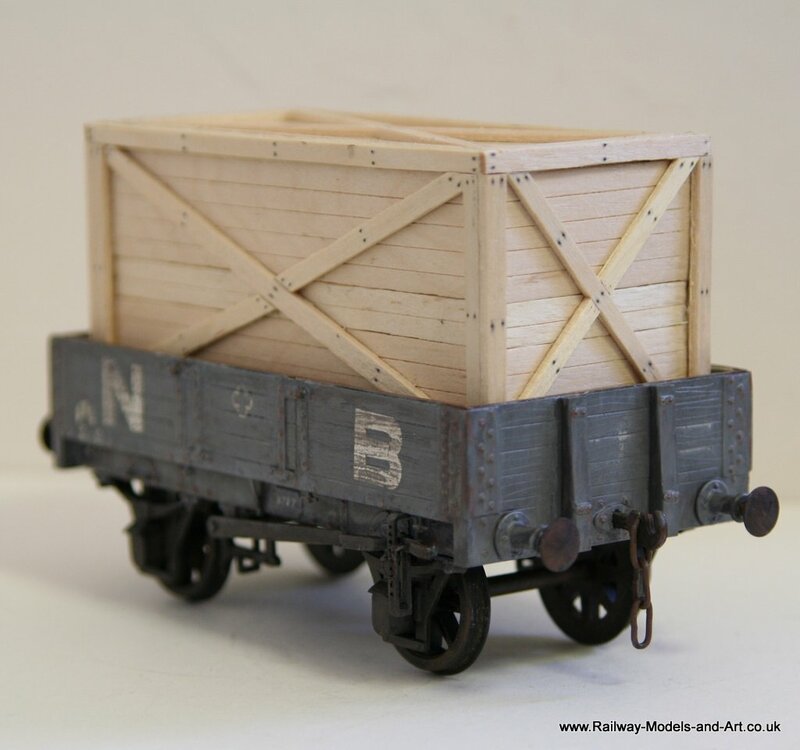 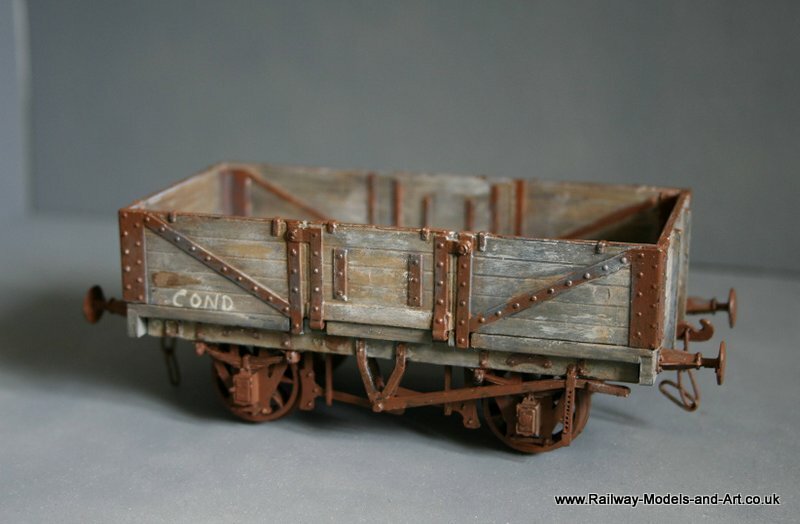 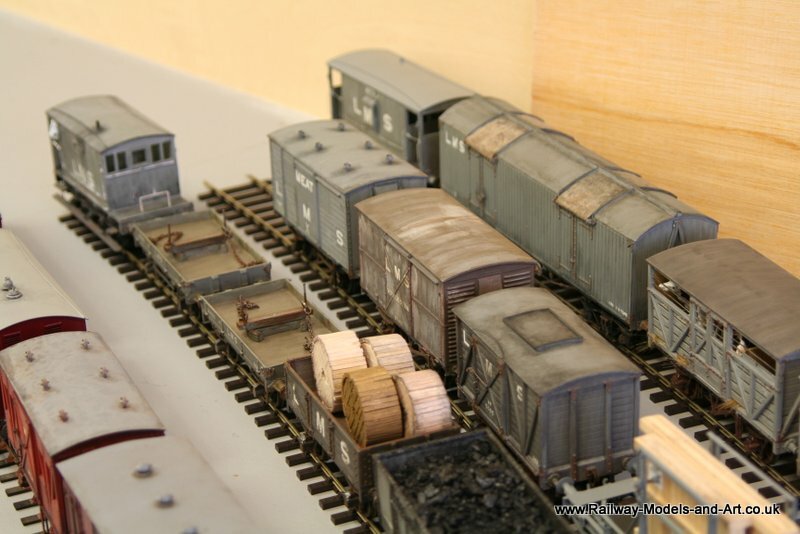 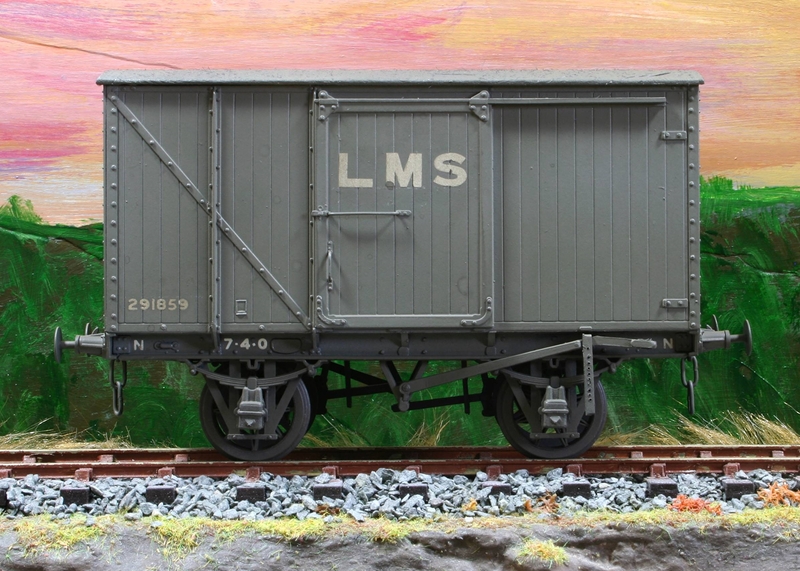 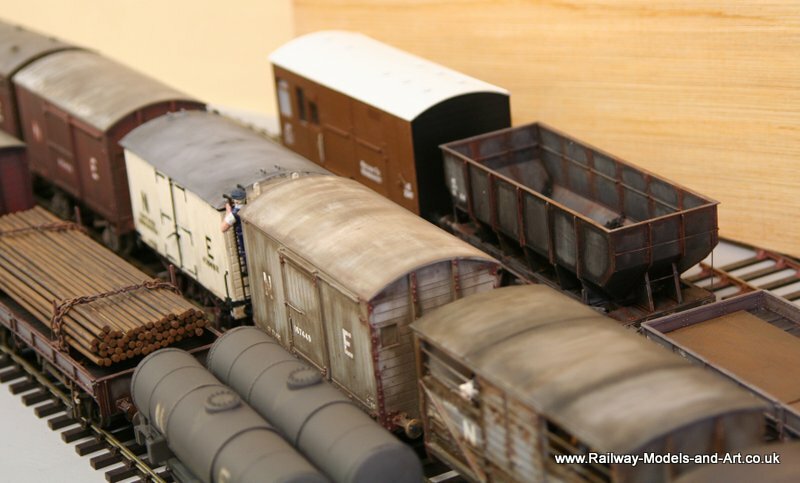 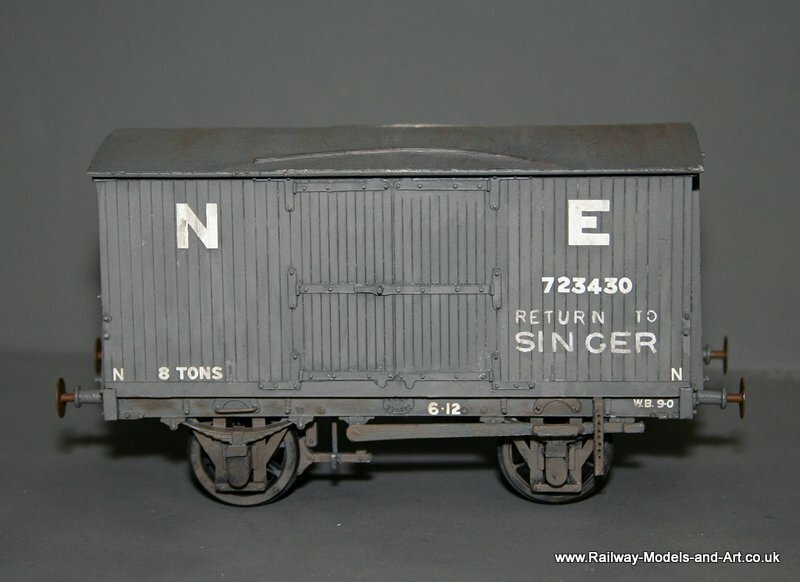 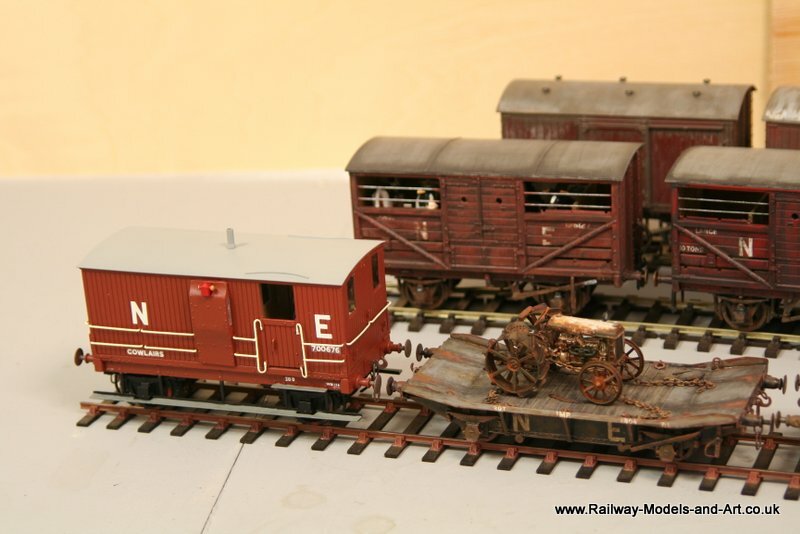 Plus I have weathered the wood insides of both the dropside and the NBR Floor Cloth wagon that I built many moons ago. 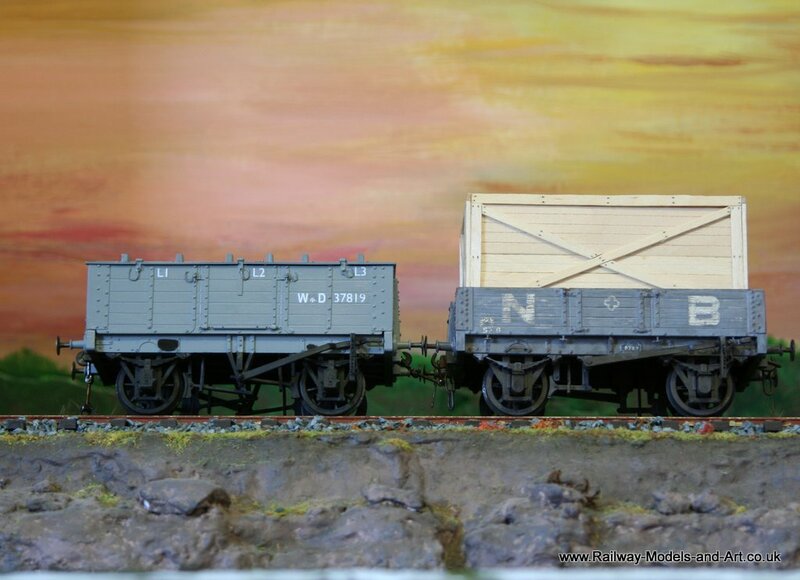 Once I have weathered the outsides I will take photos. 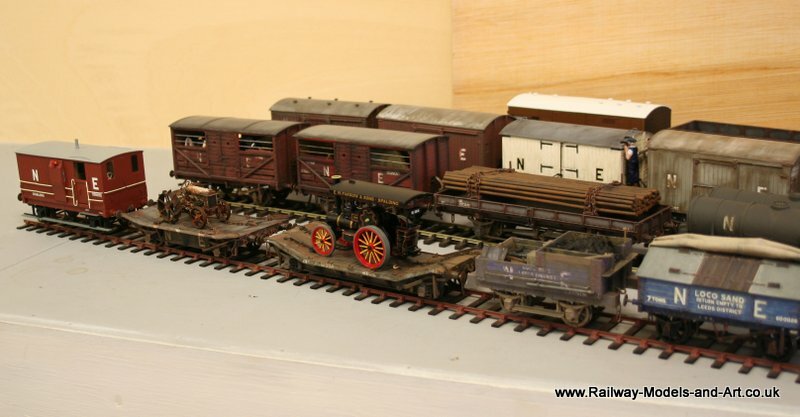 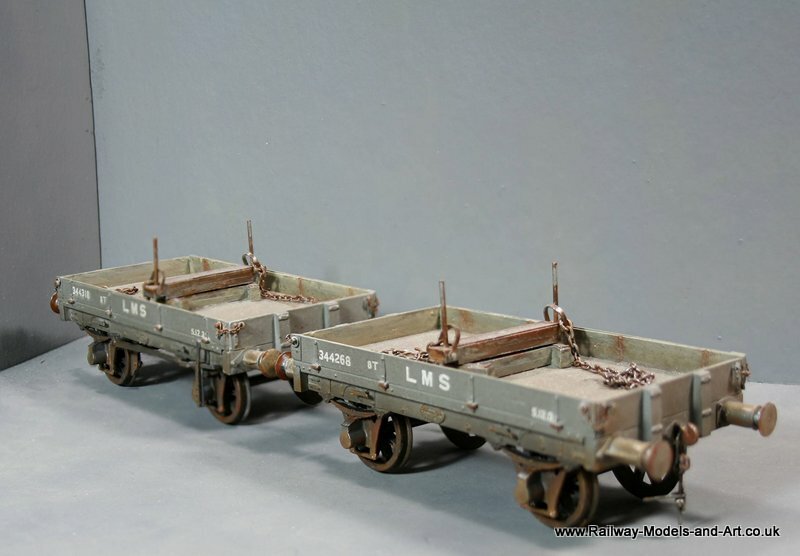 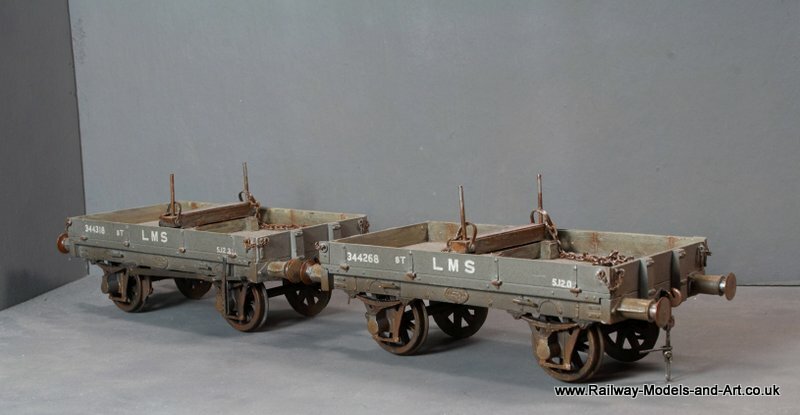 On one of the forums that I frequent a friend asked for a few shots of my wagon collection so I thought that I would share them here.